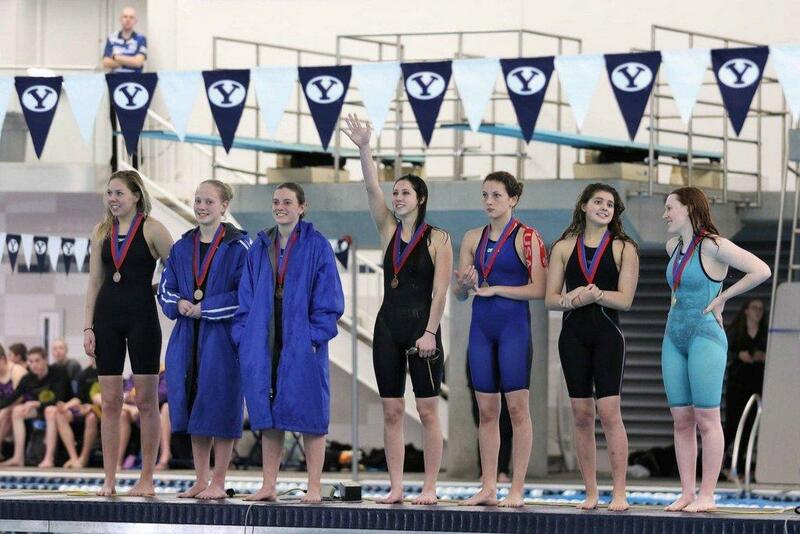 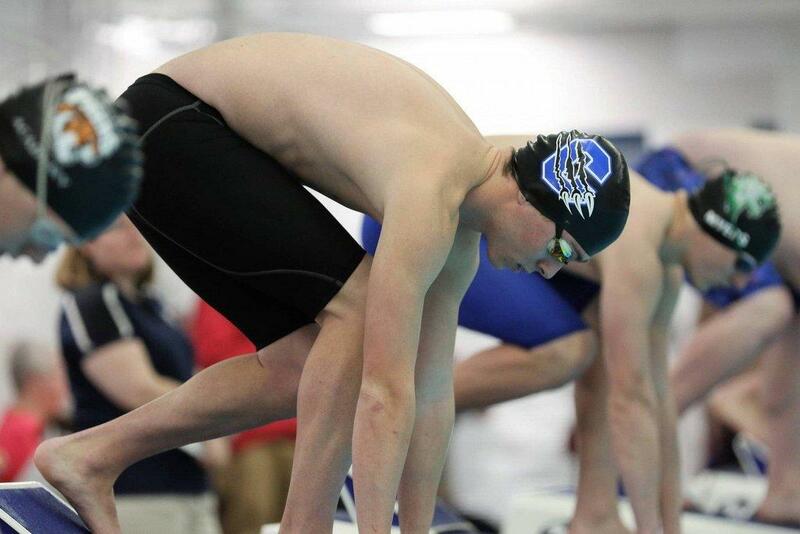 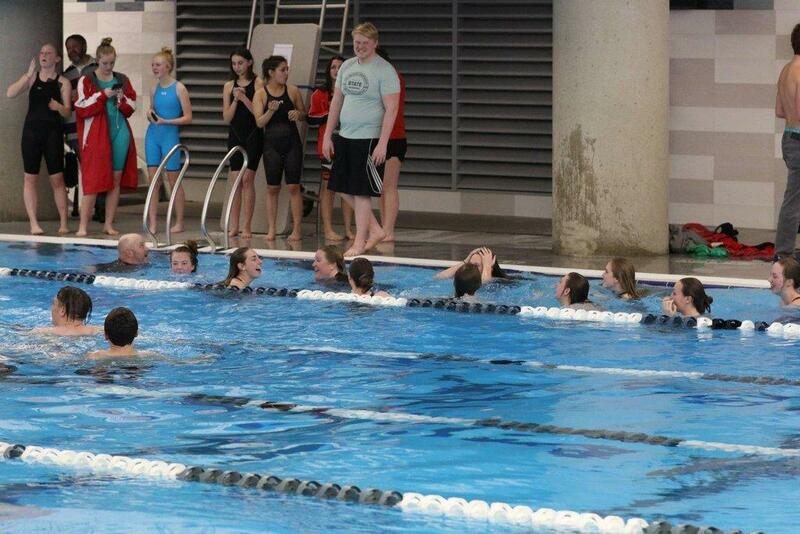 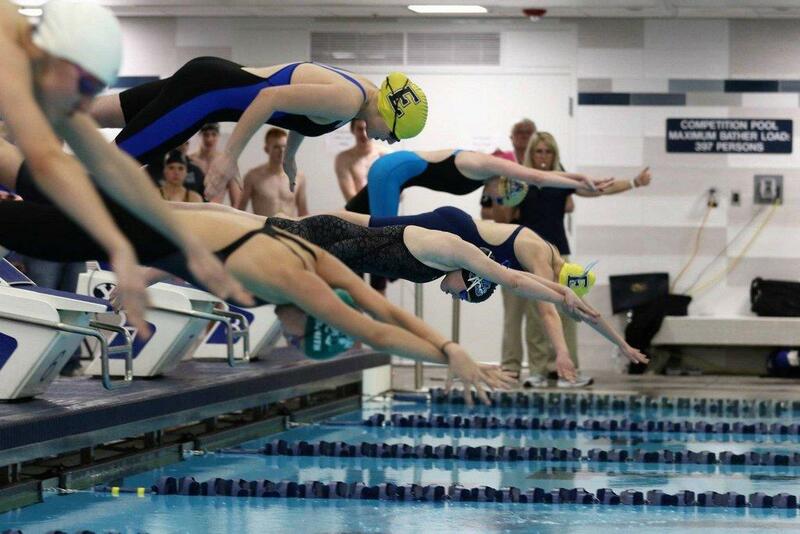 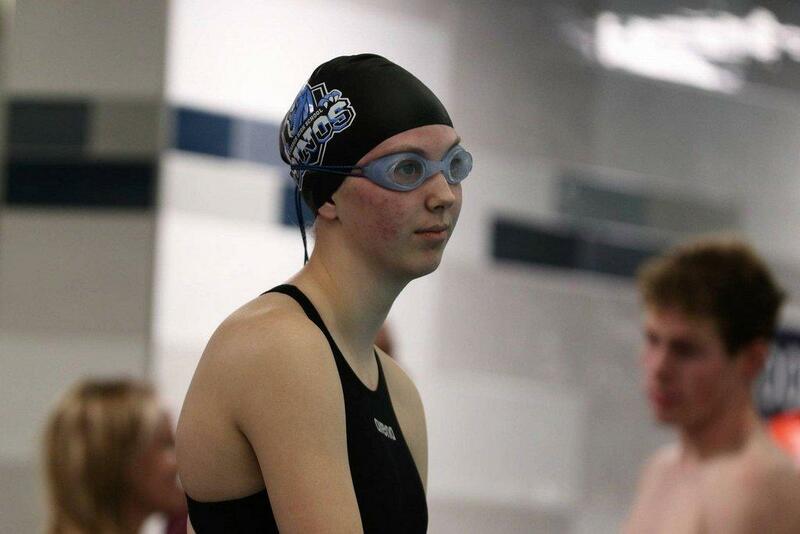 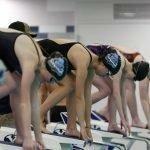 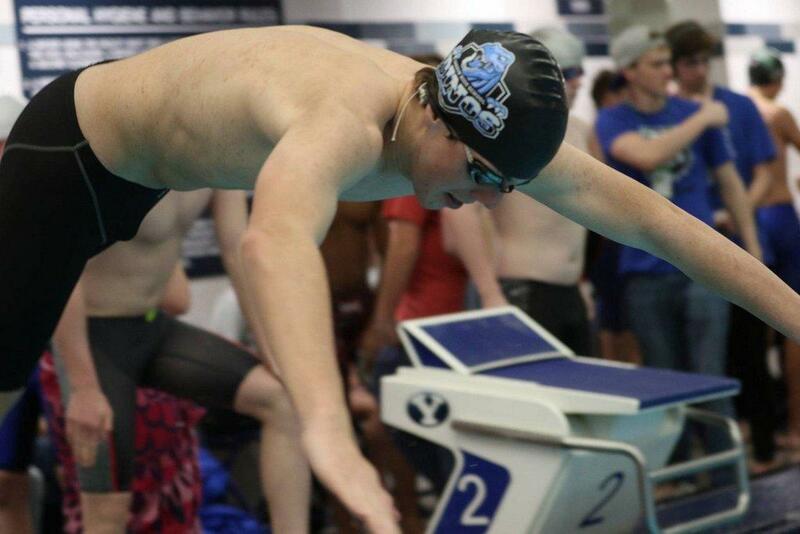 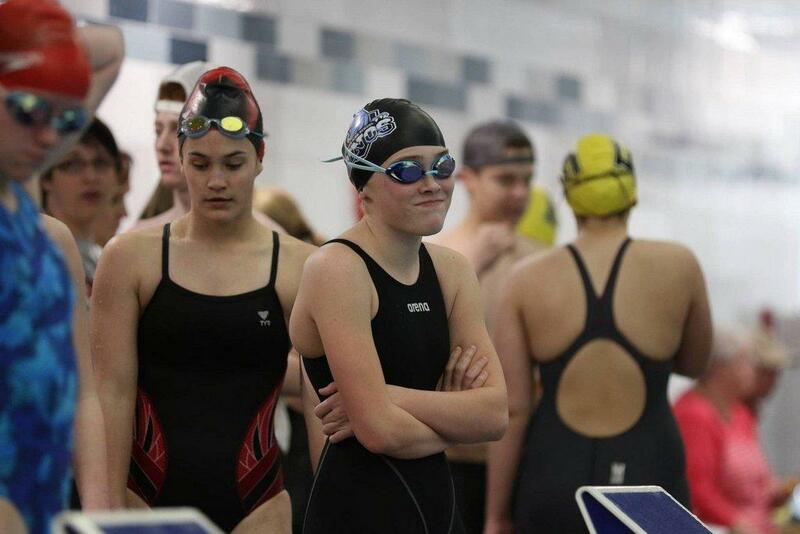 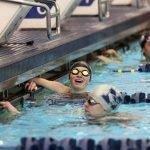 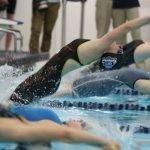 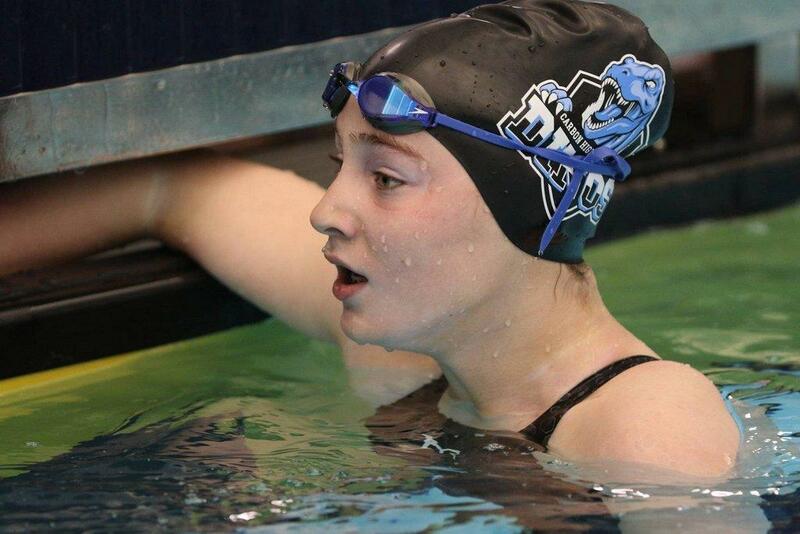 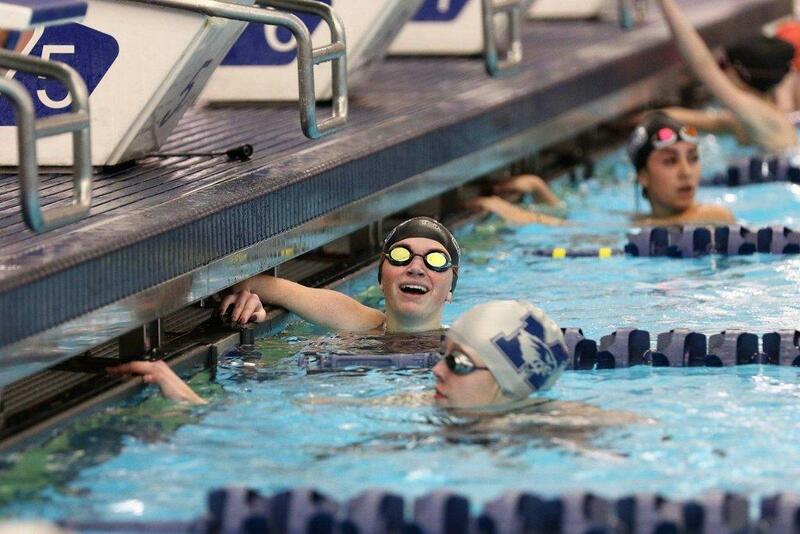 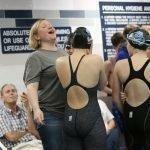 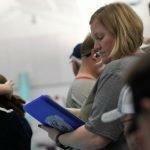 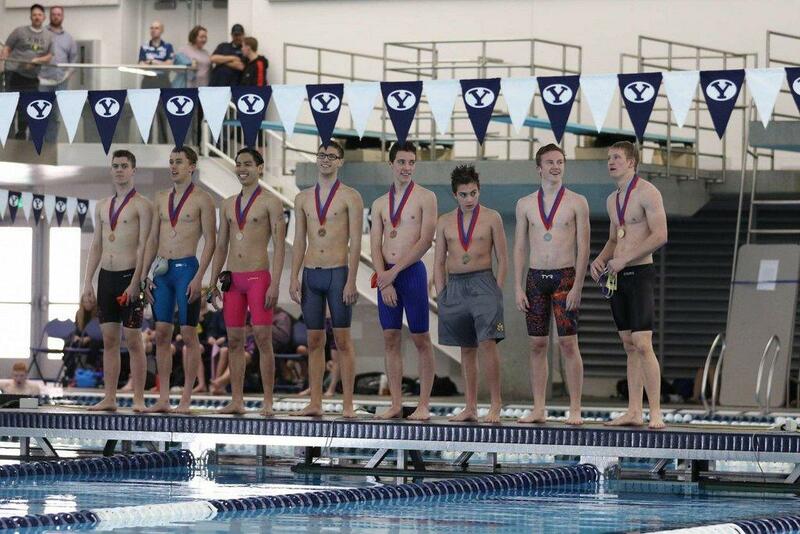 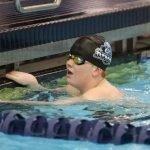 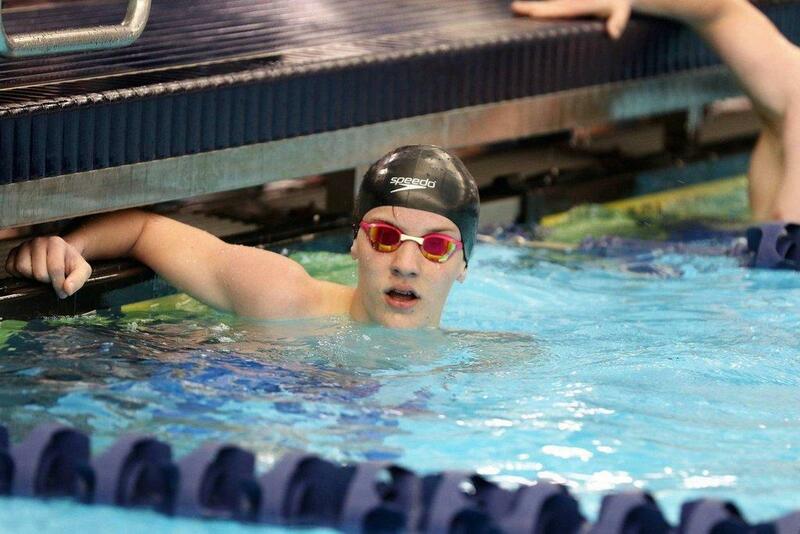 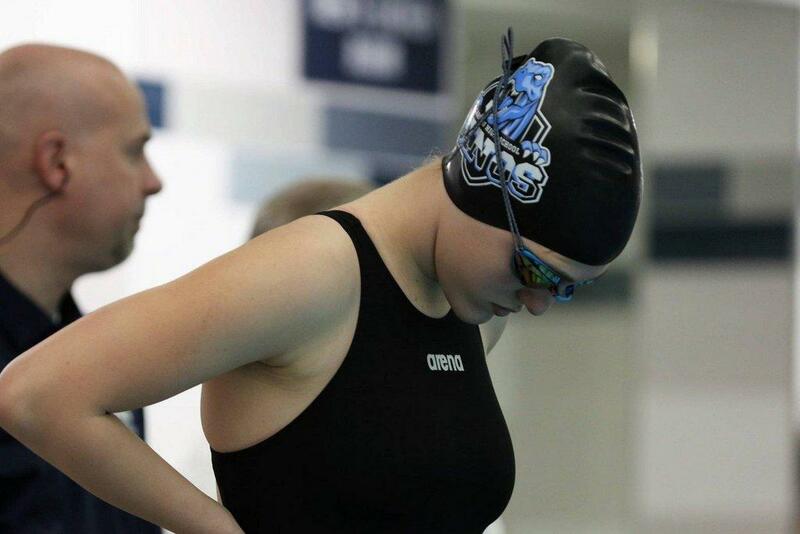 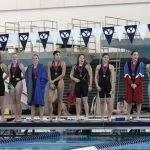 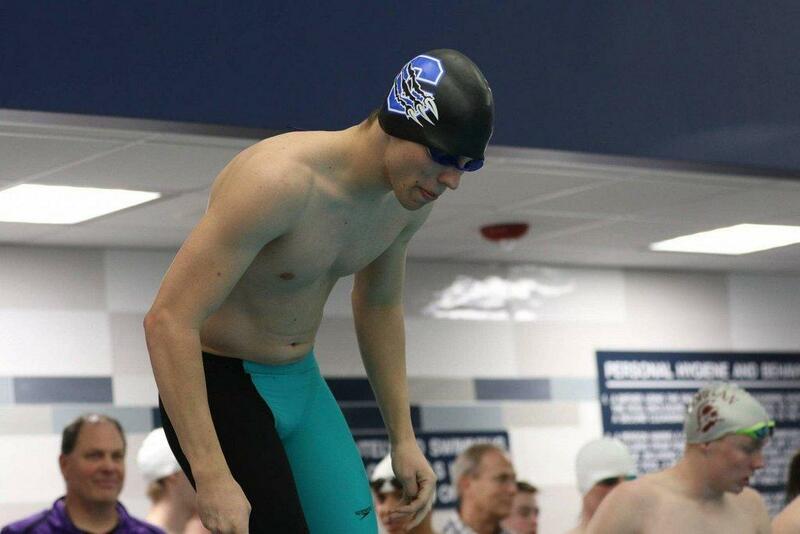 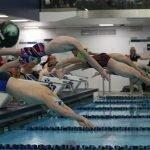 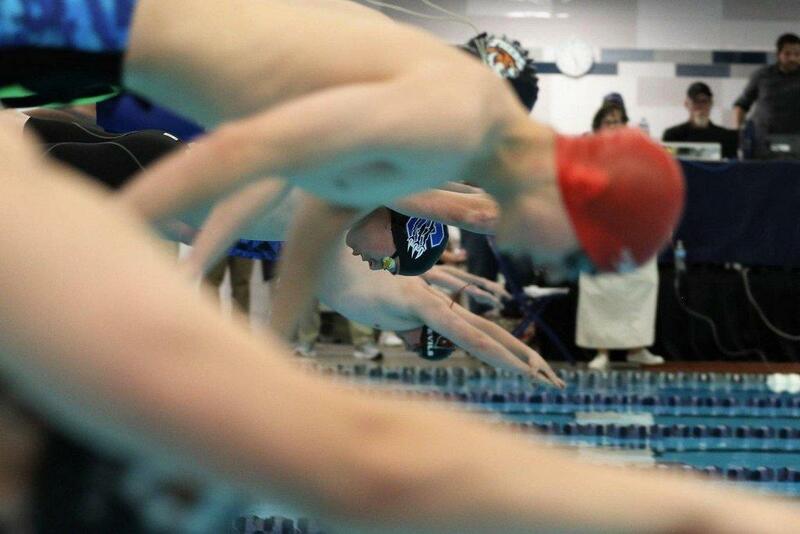 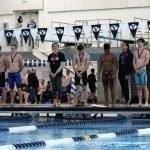 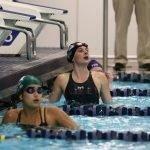 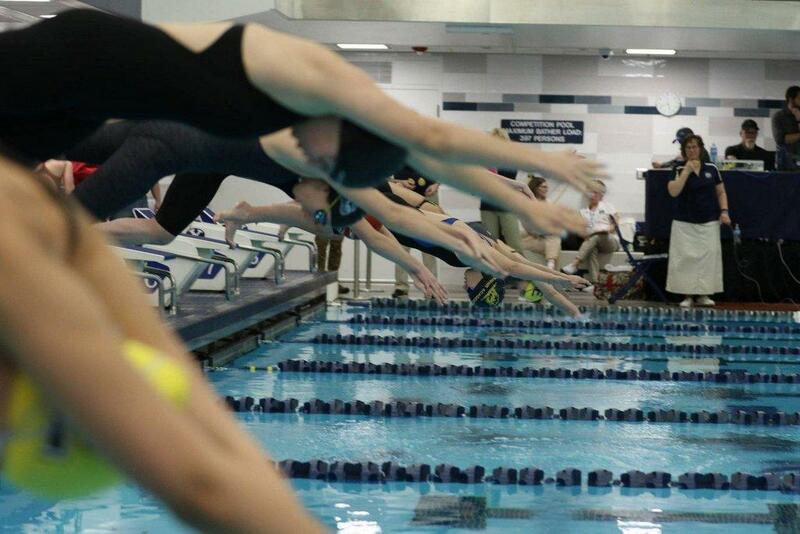 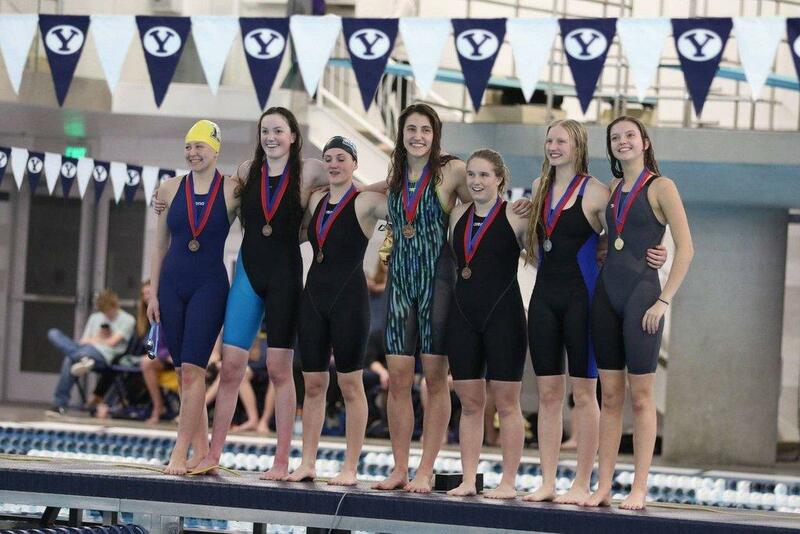 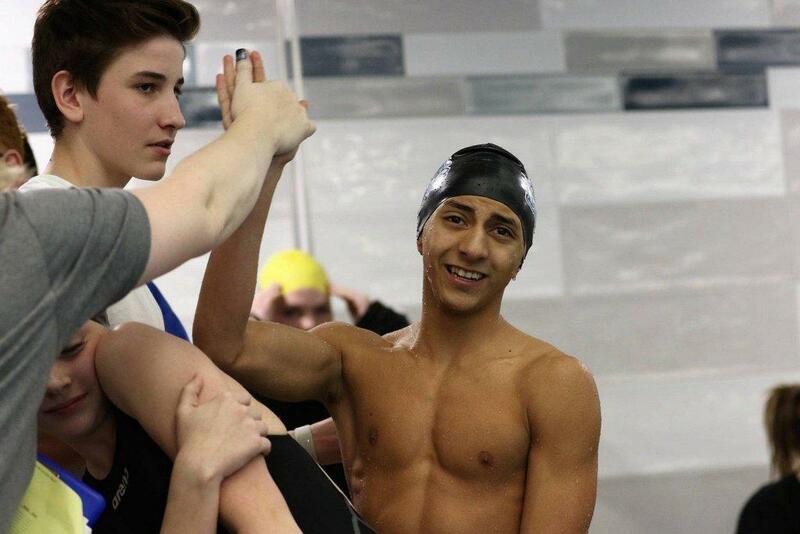 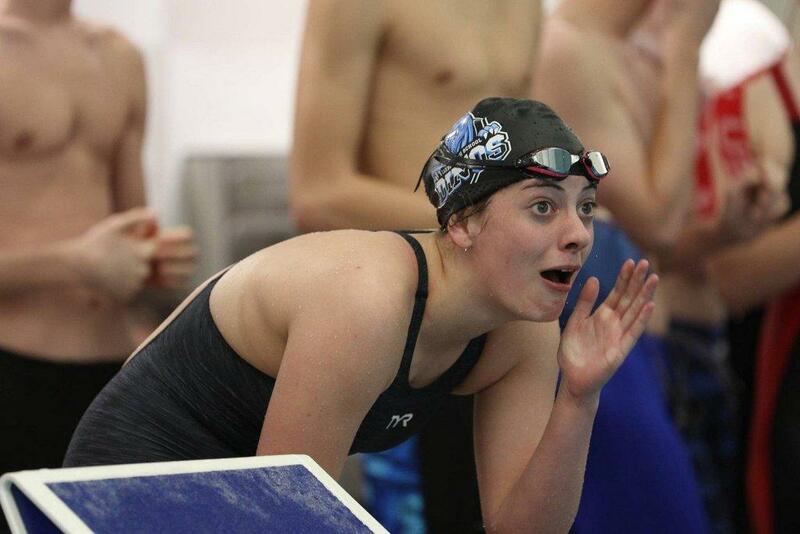 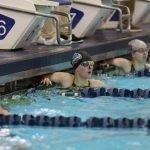 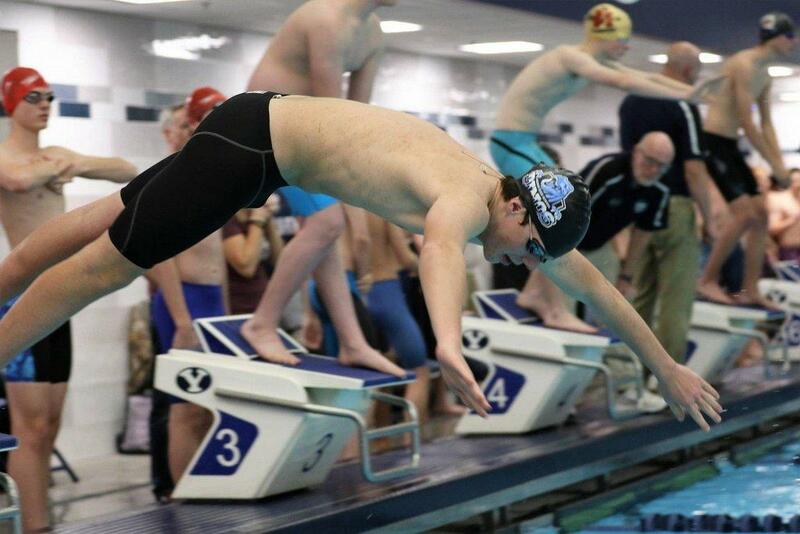 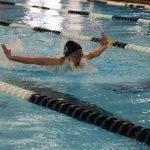 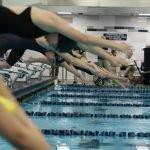 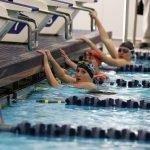 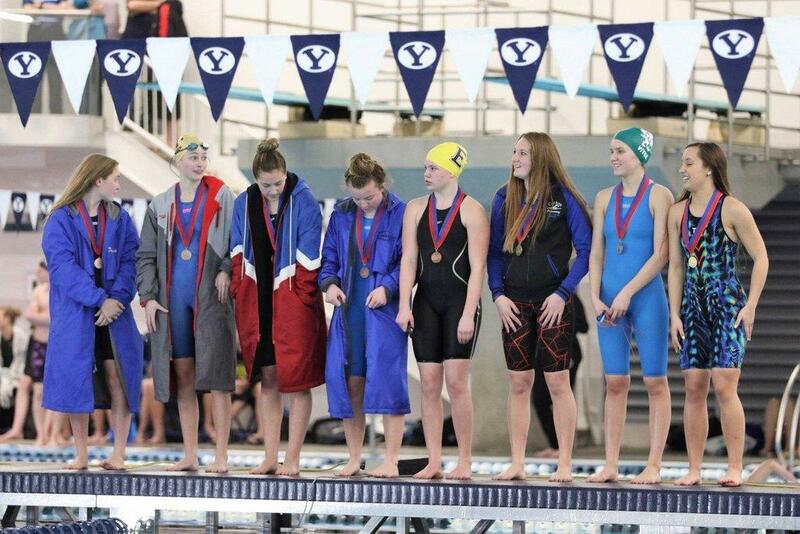 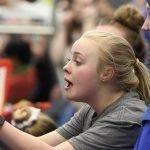 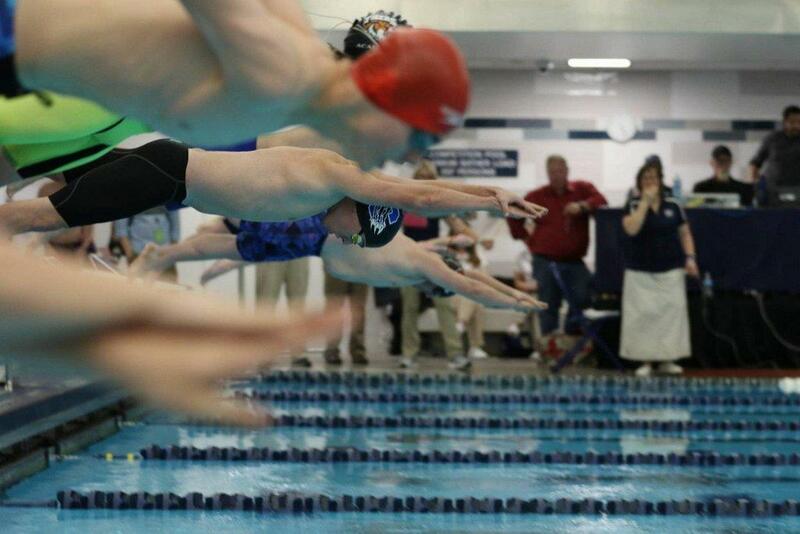 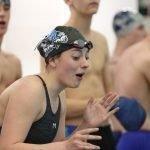 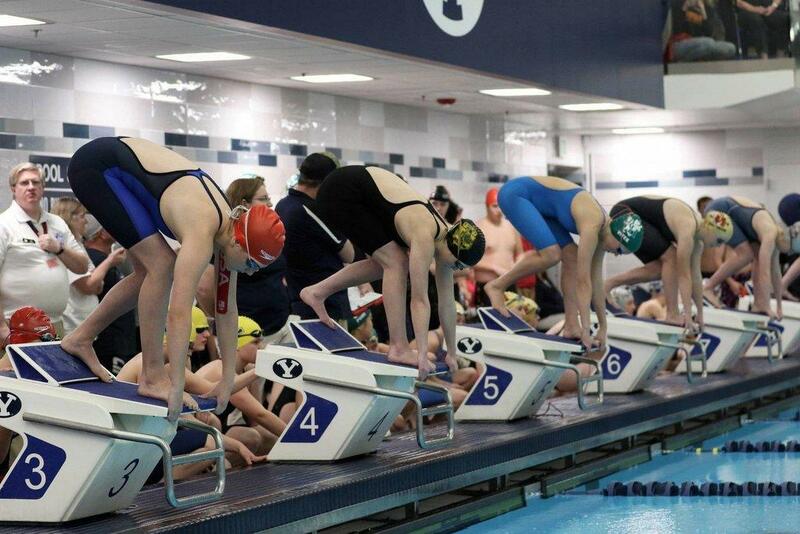 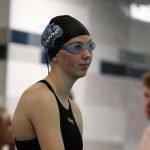 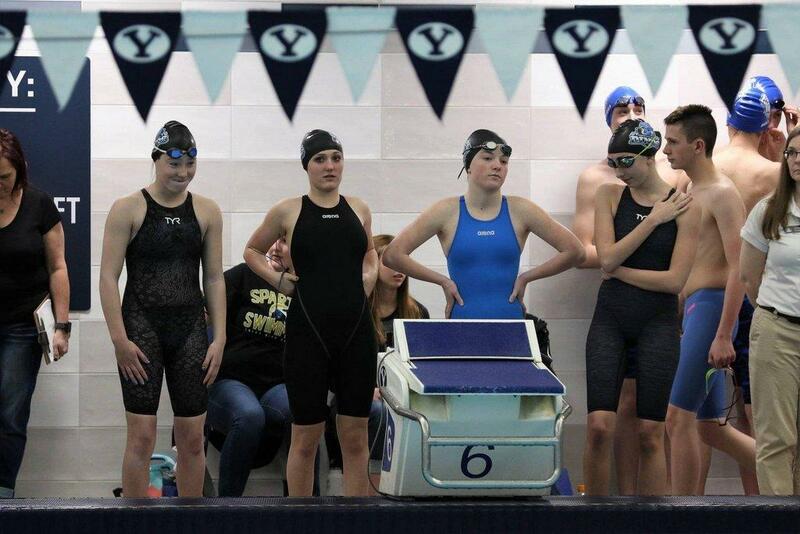 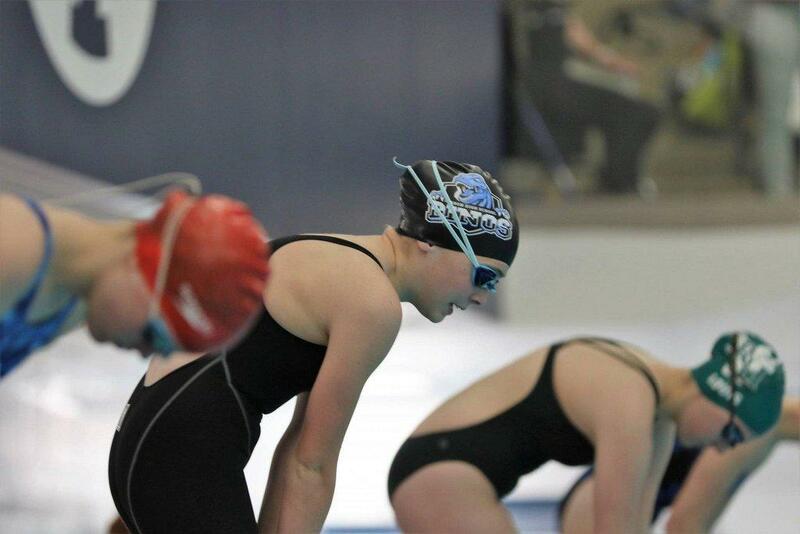 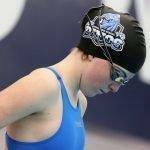 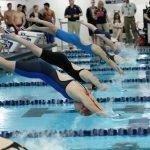 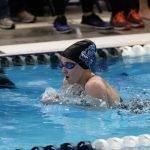 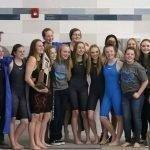 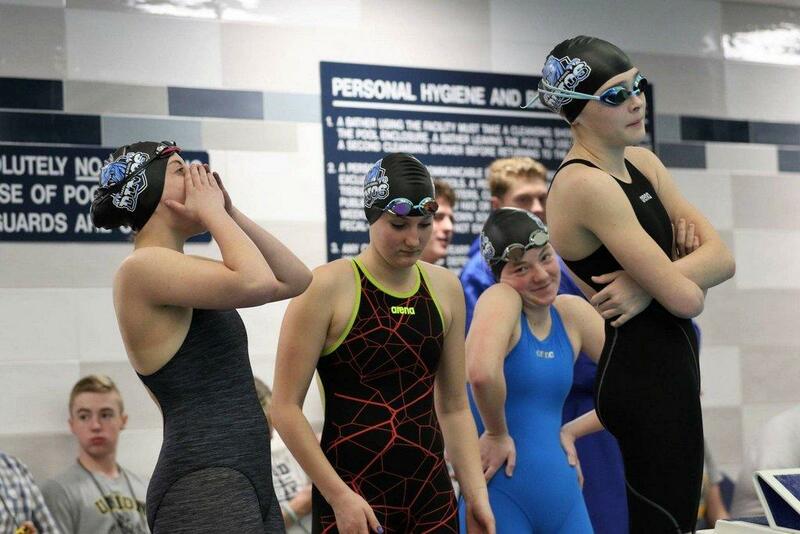 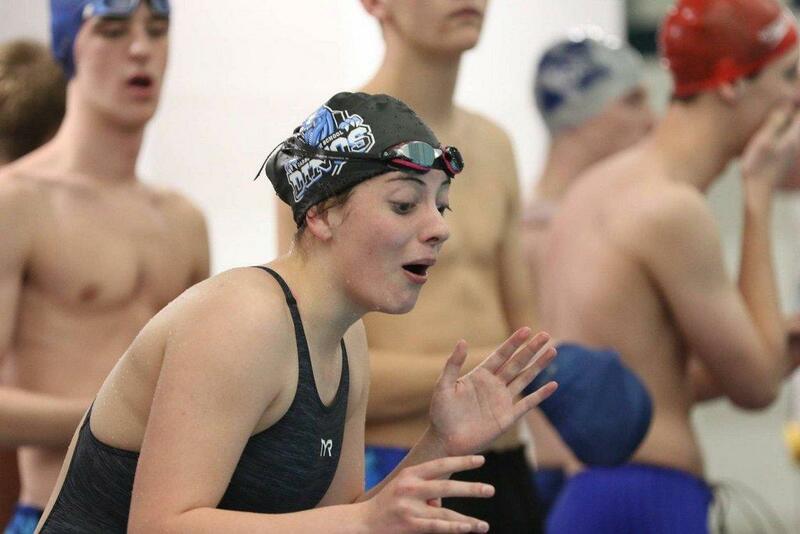 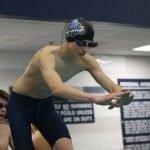 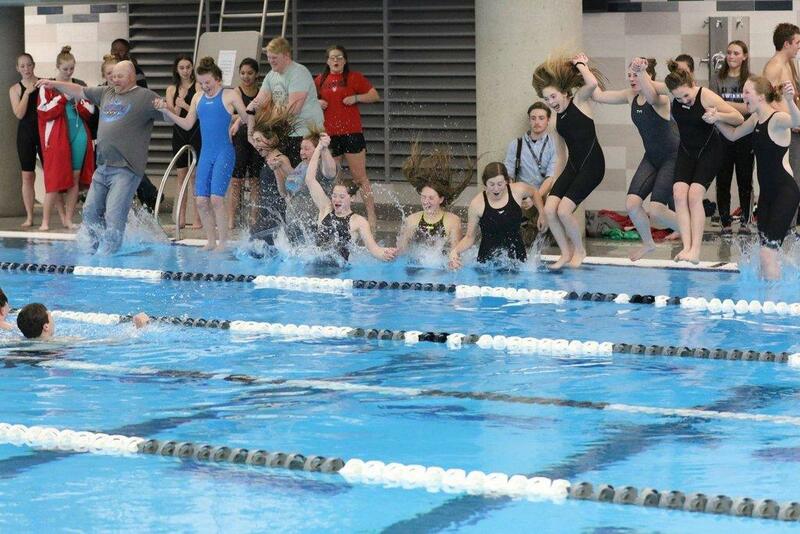 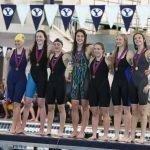 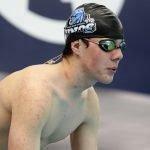 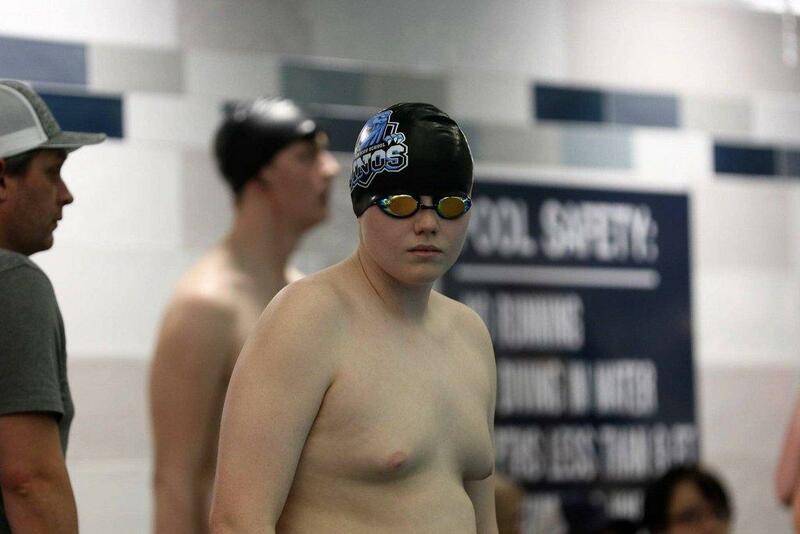 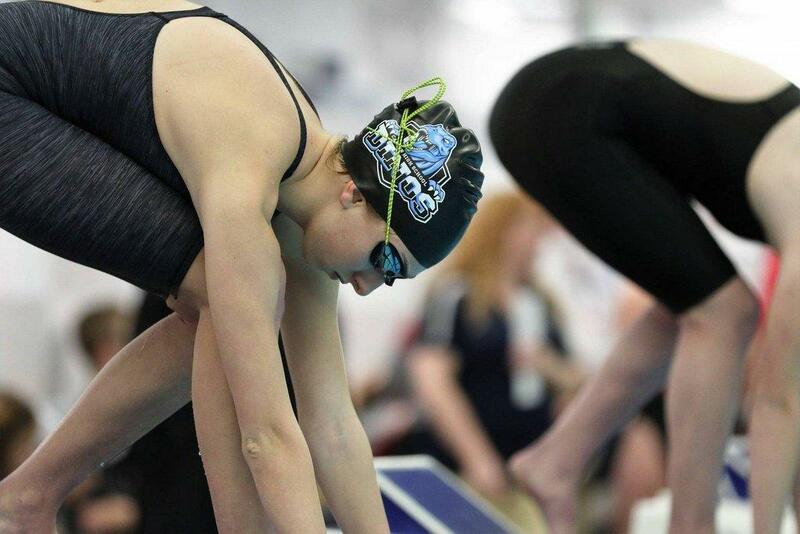 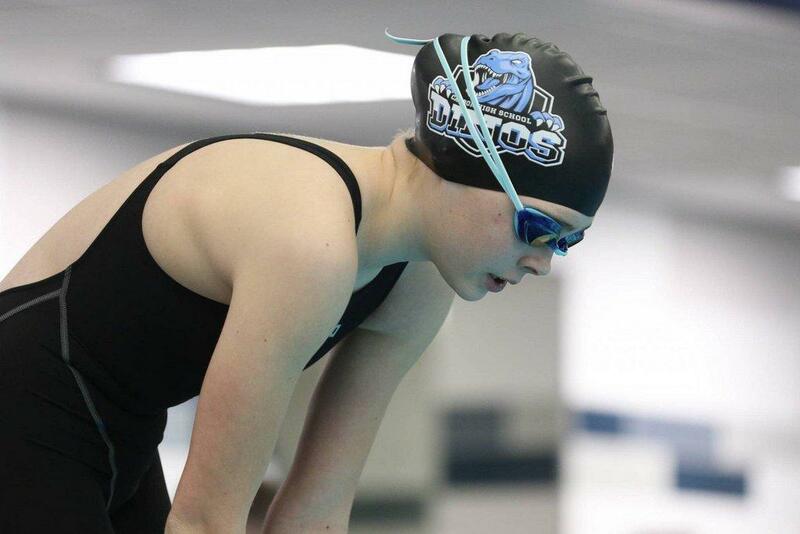 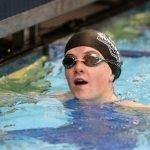 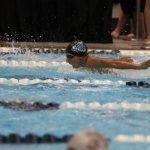 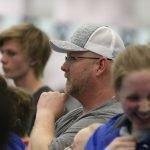 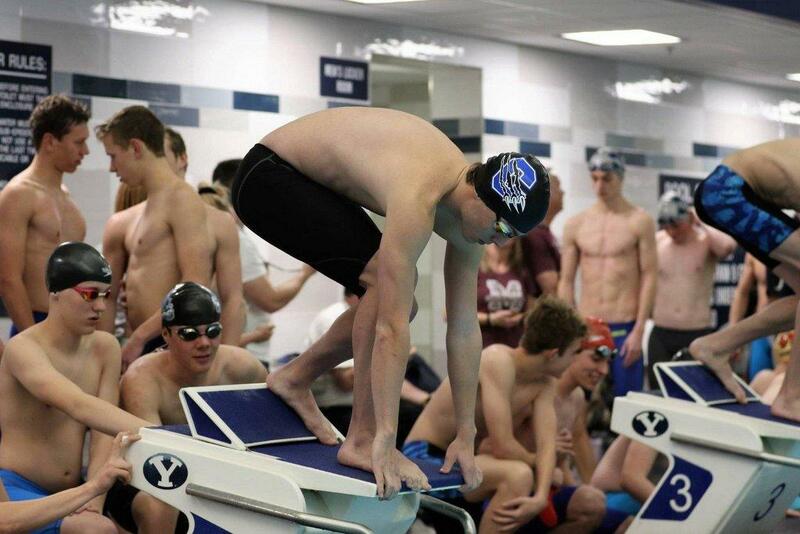 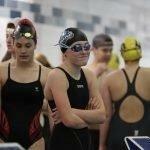 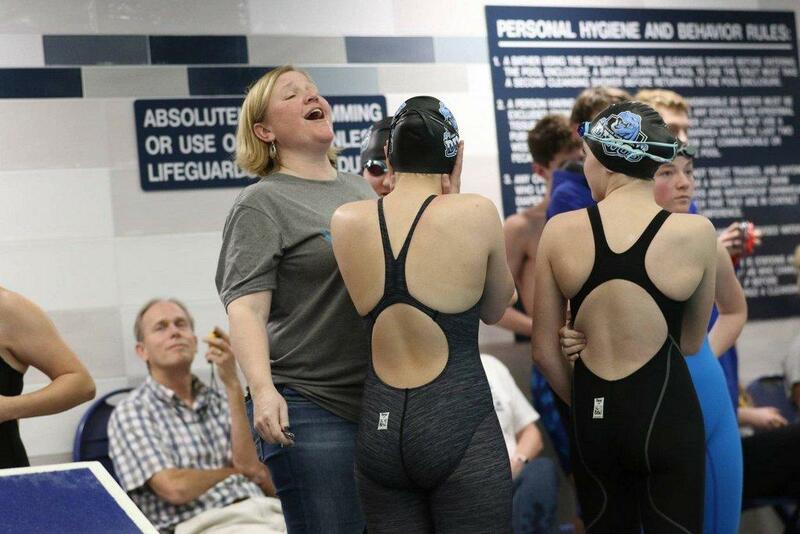 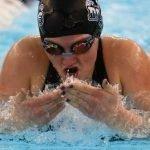 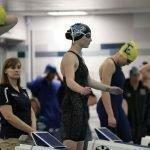 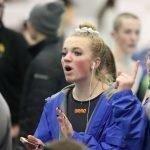 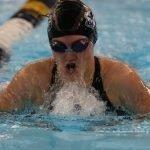 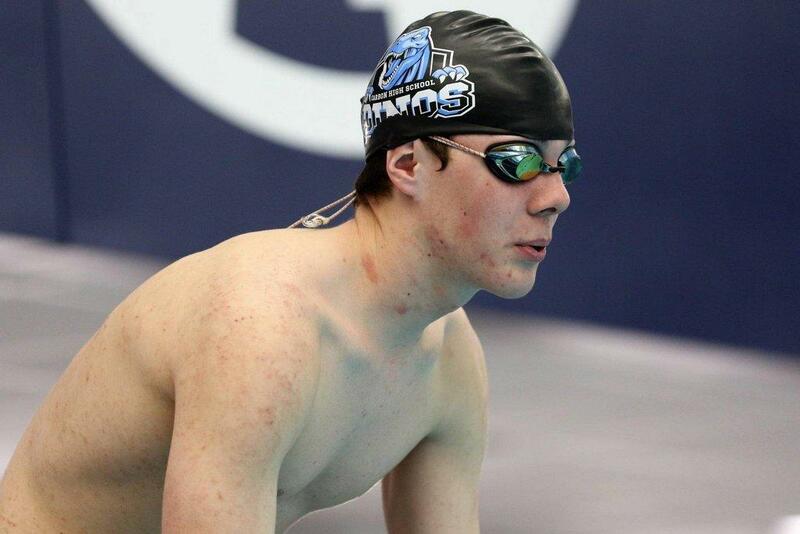 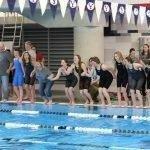 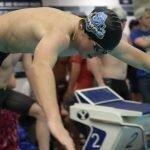 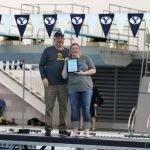 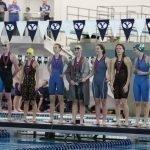 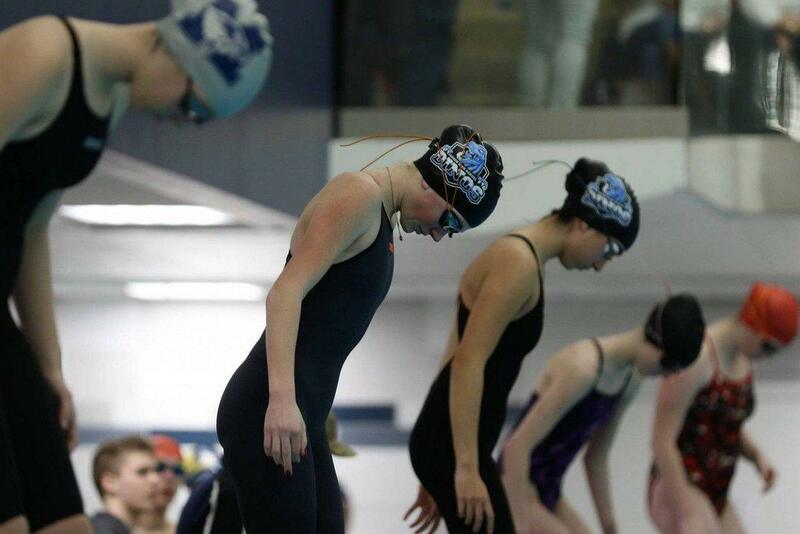 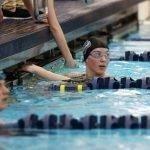 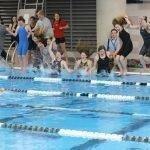 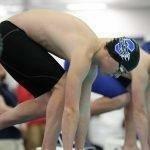 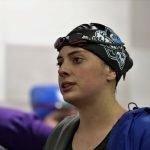 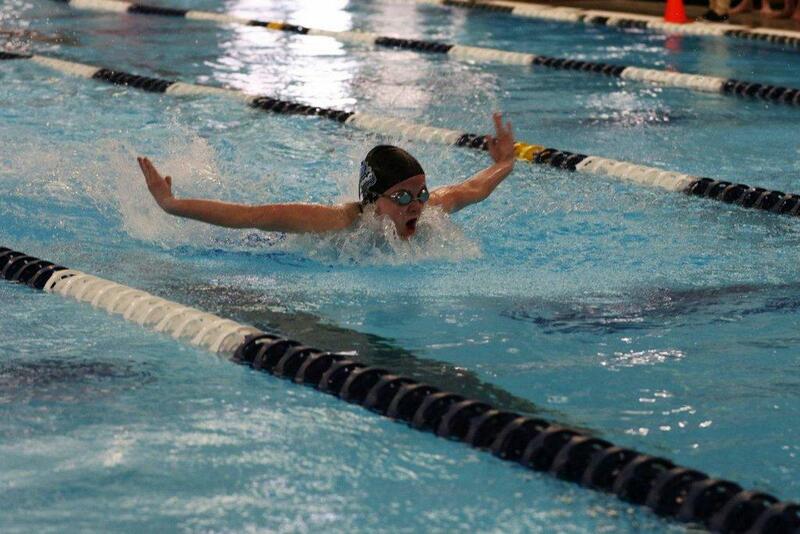 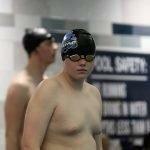 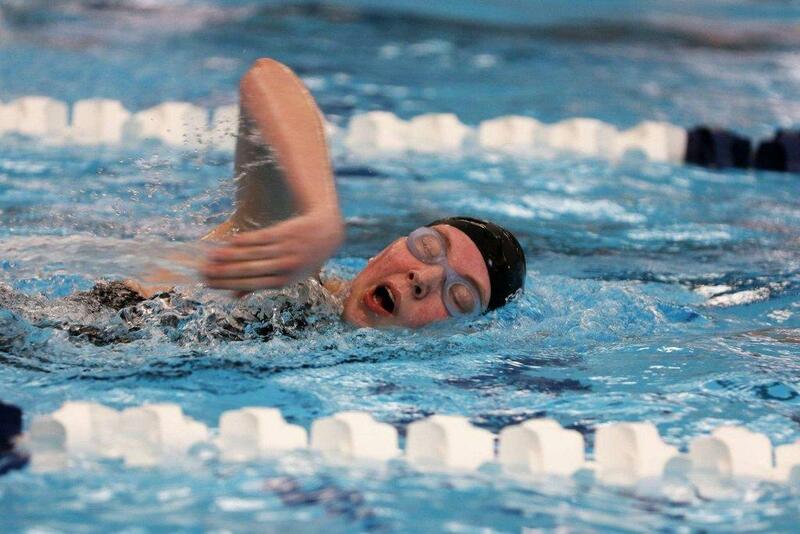 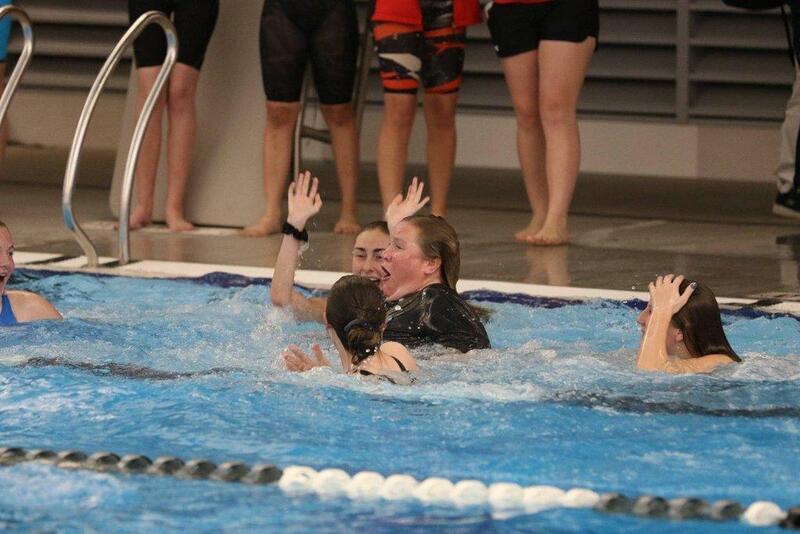 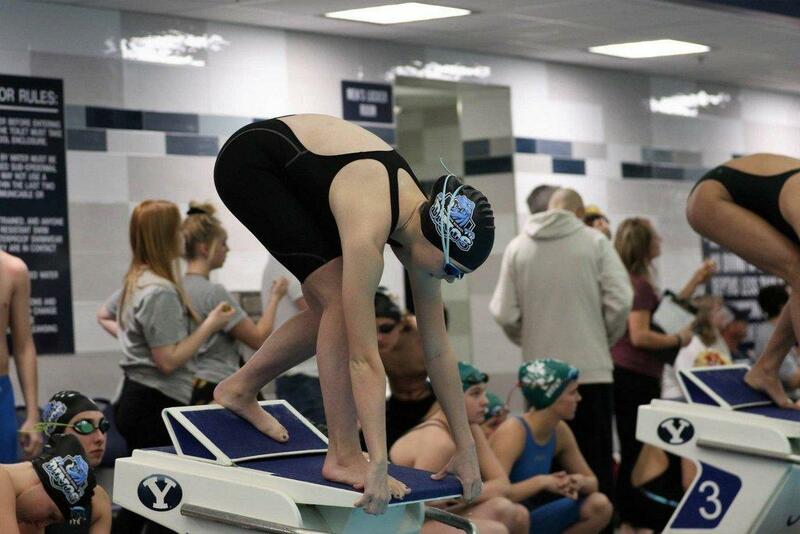 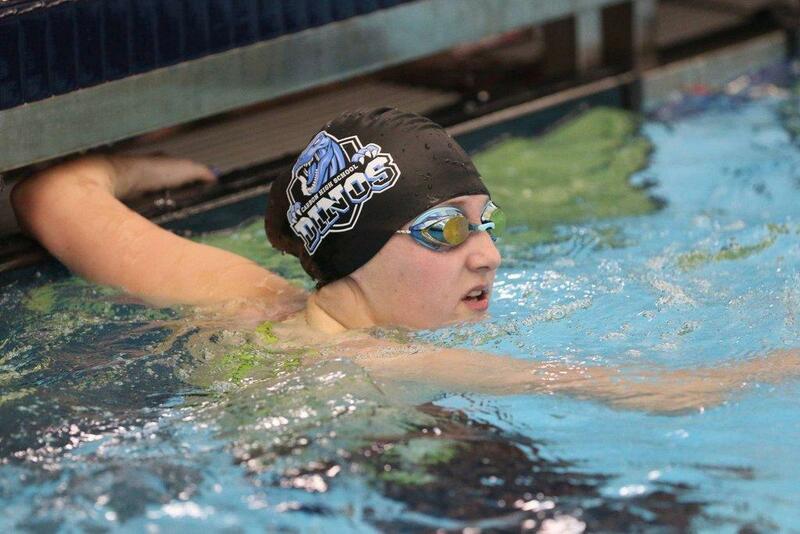 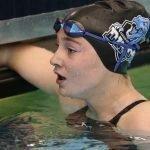 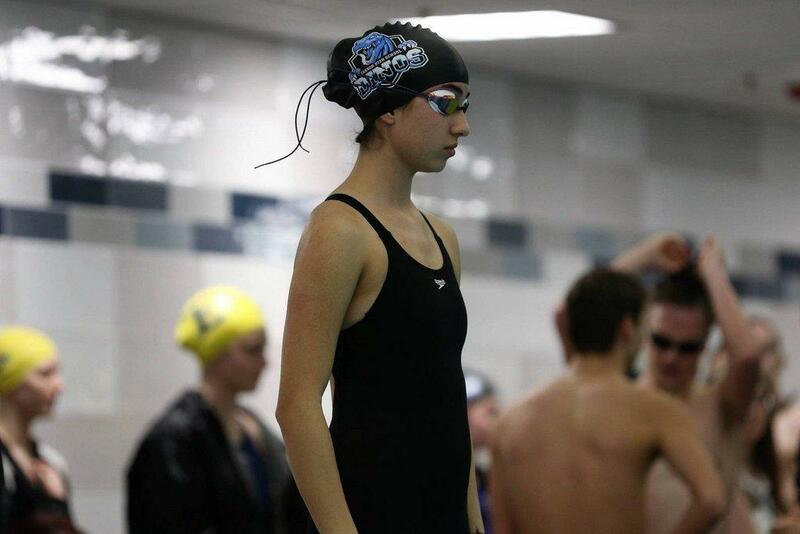 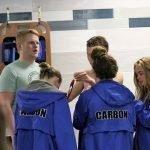 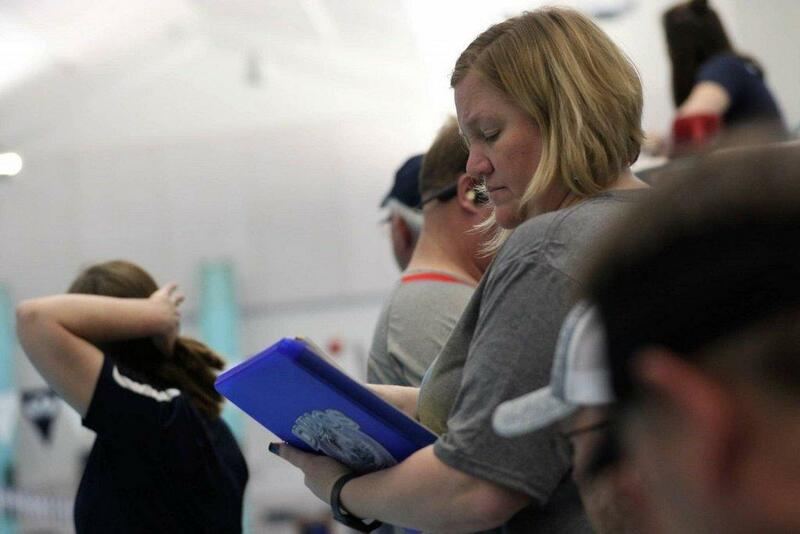 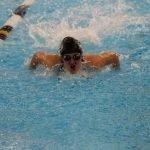 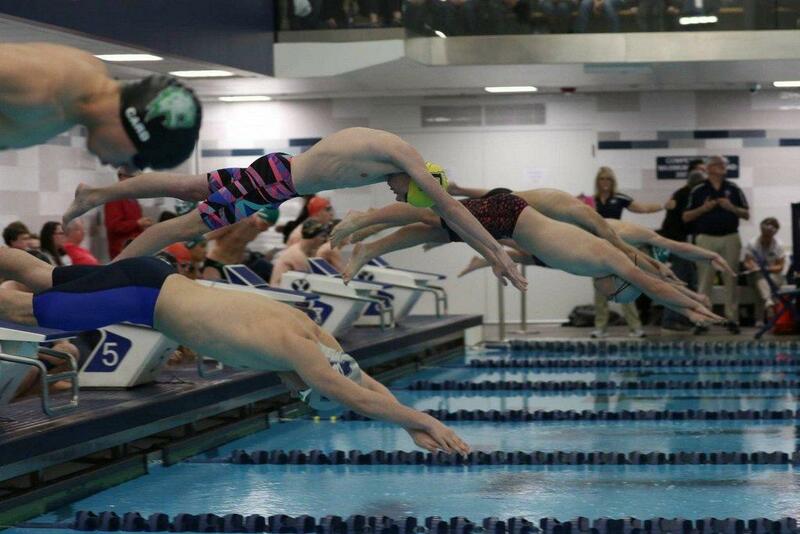 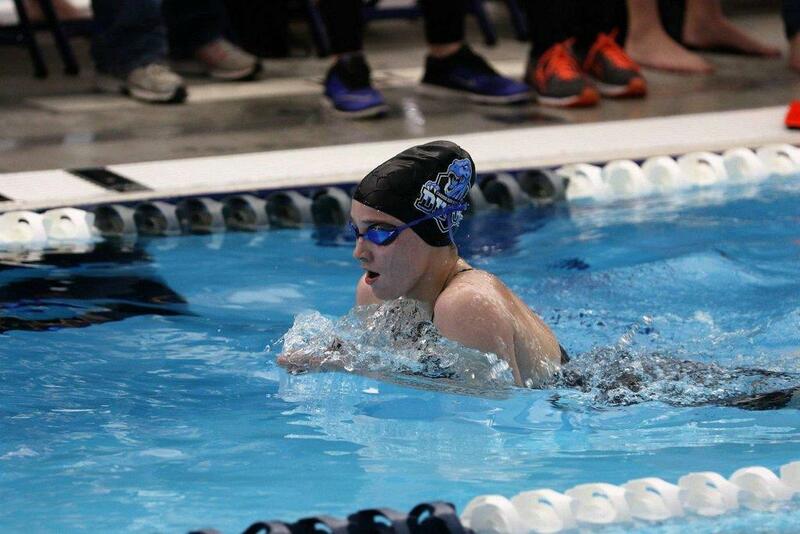 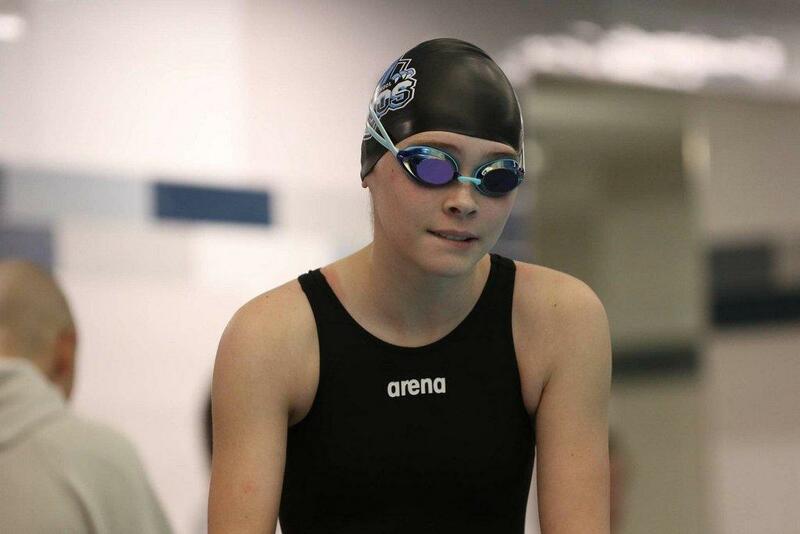 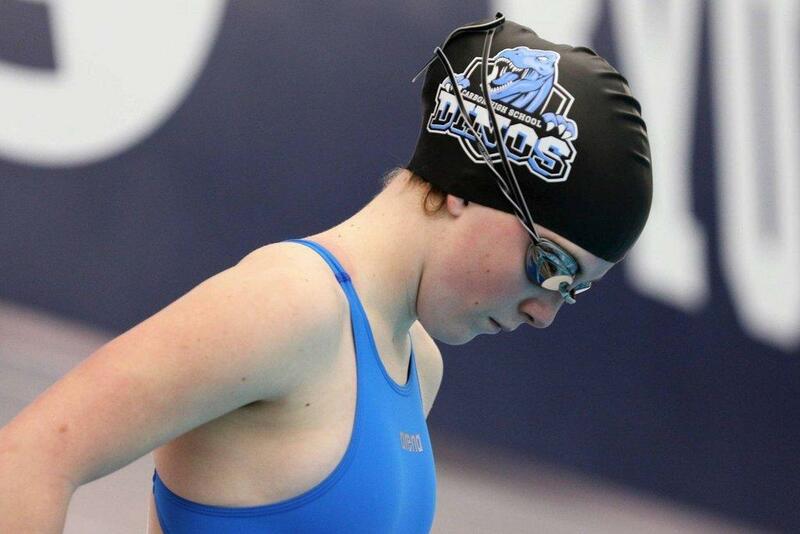 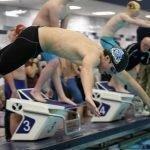 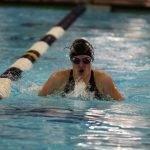 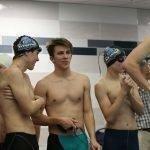 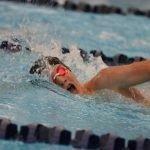 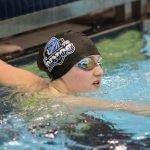 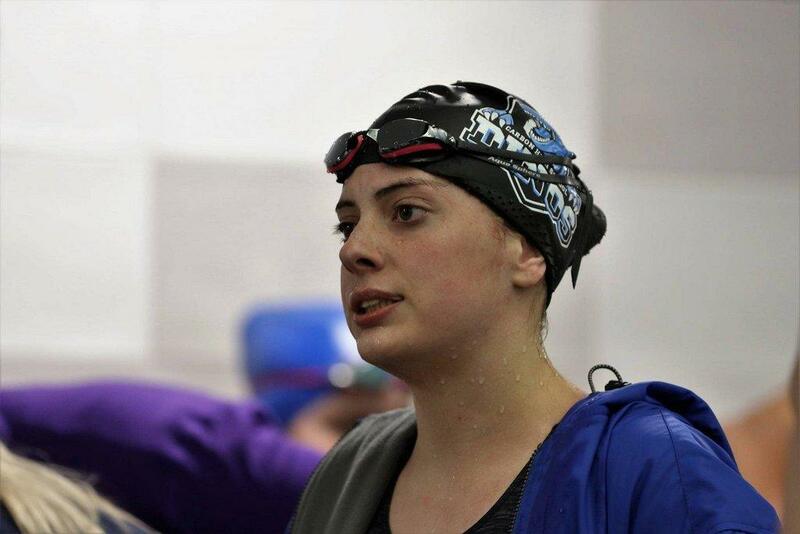 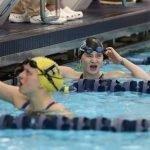 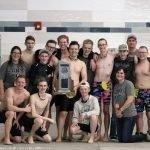 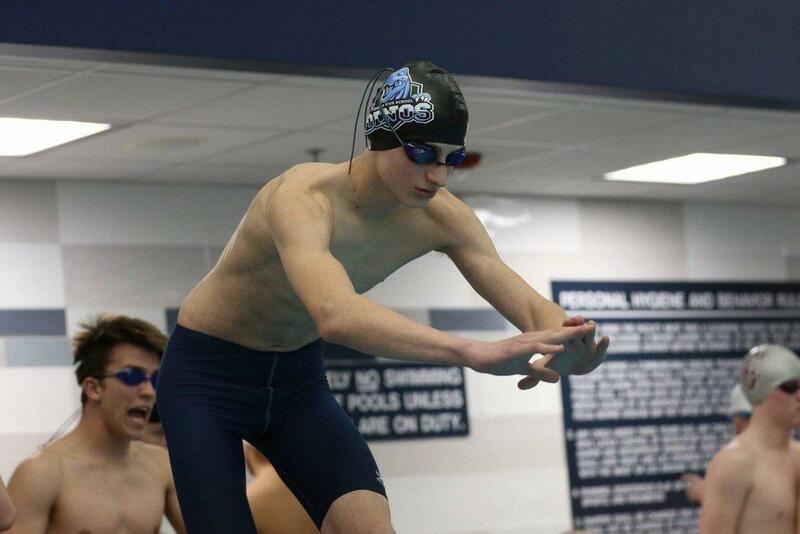 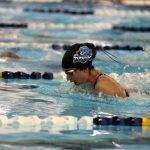 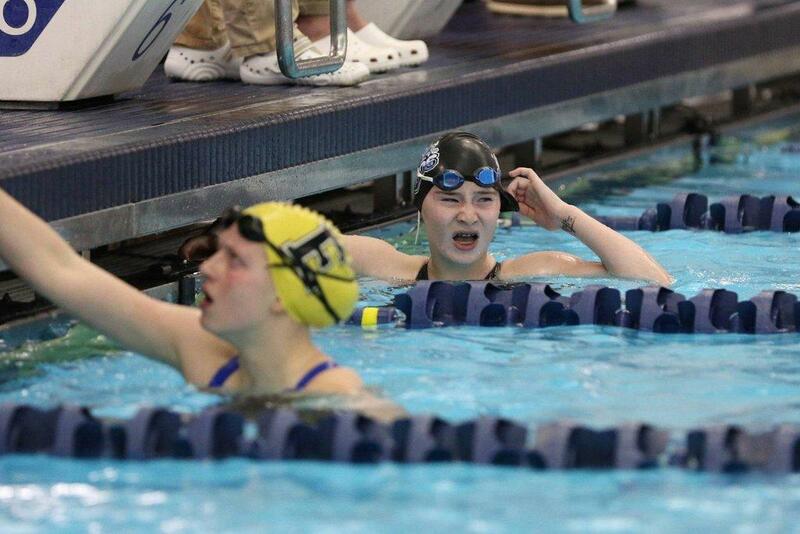 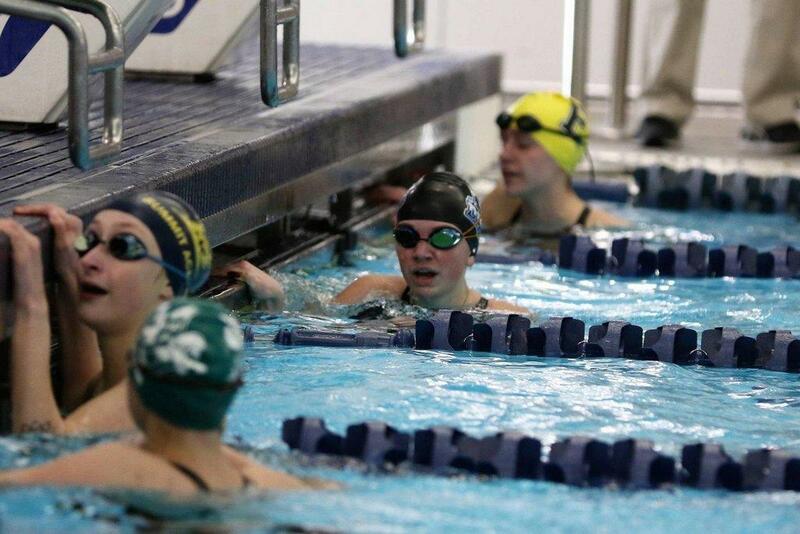 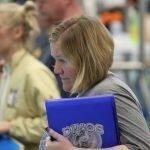 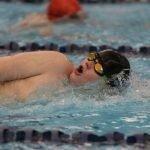 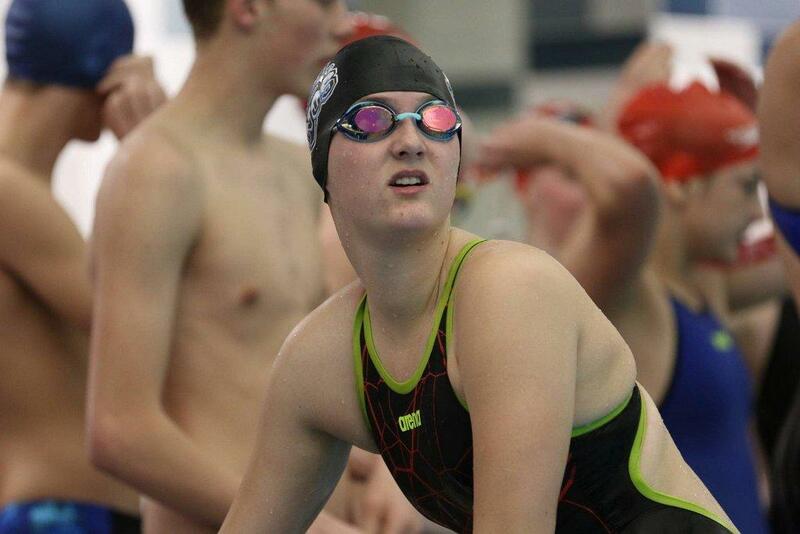 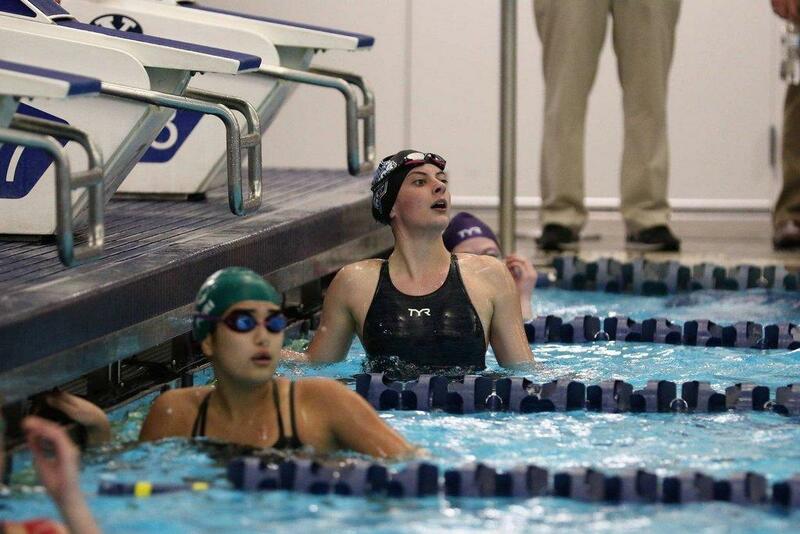 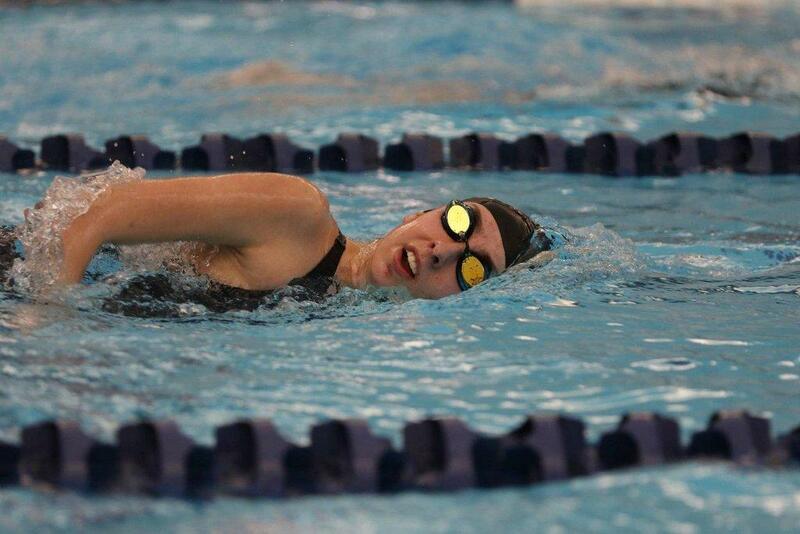 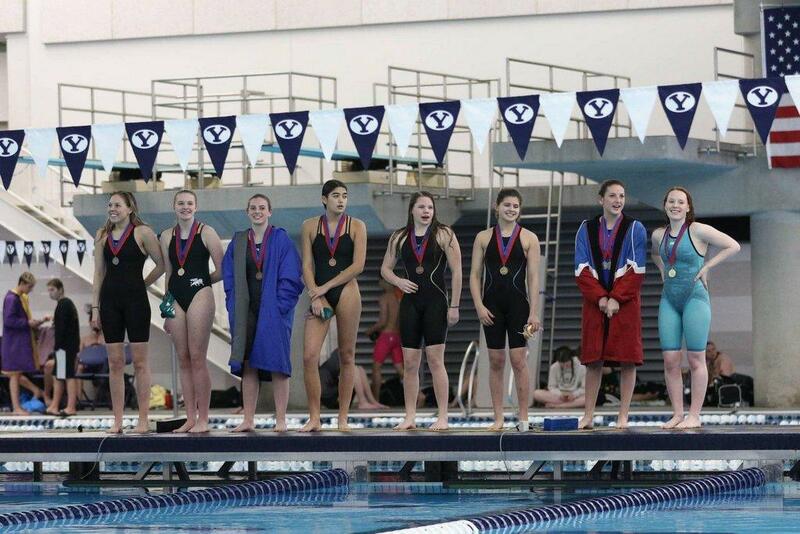 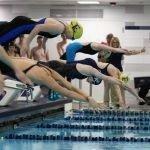 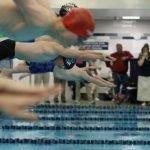 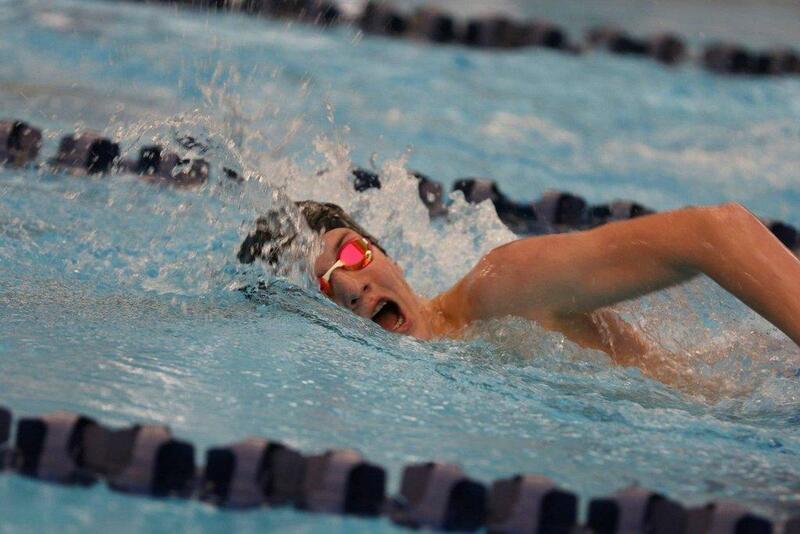 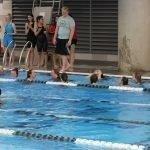 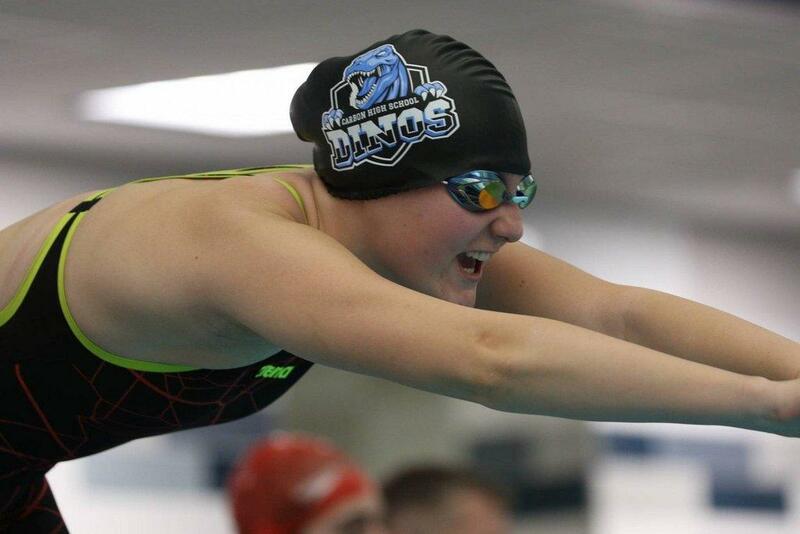 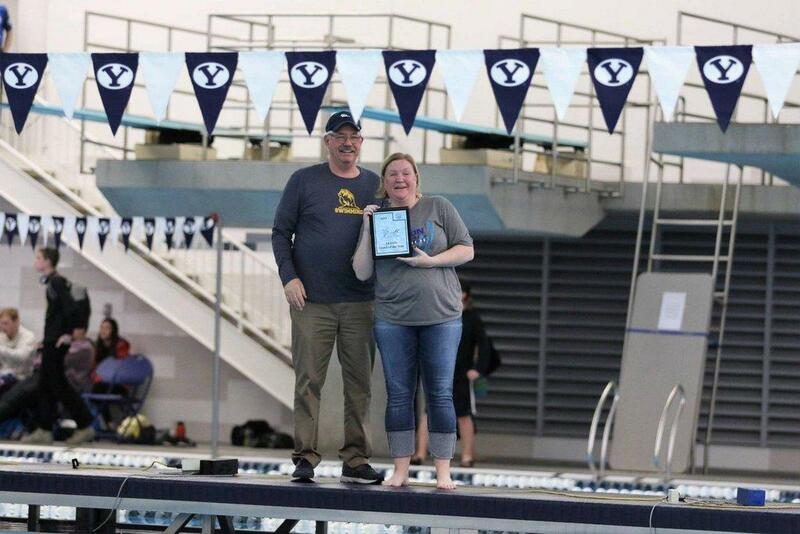 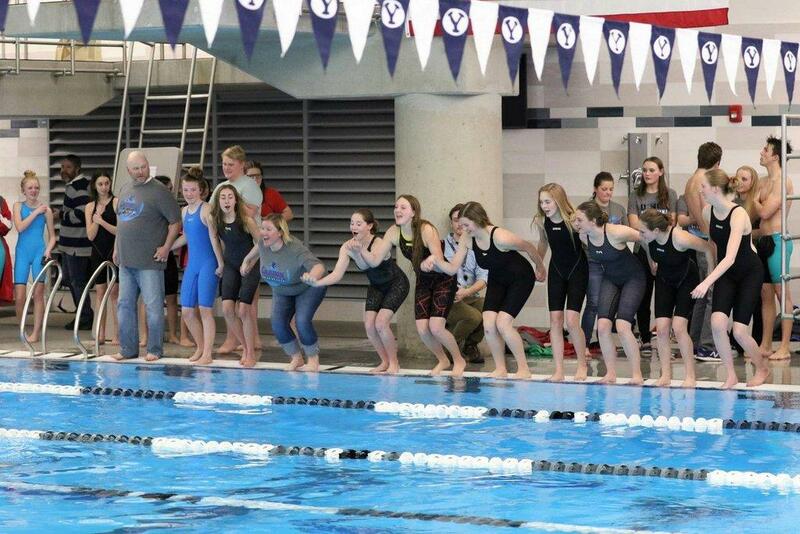 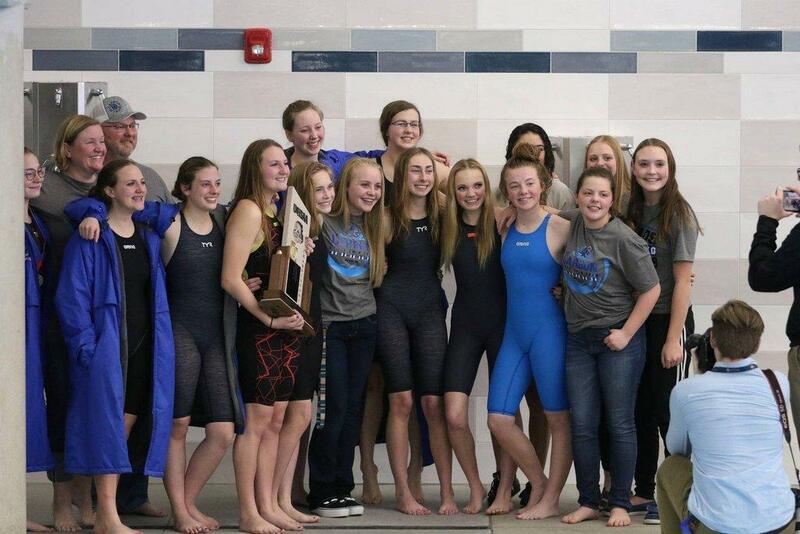 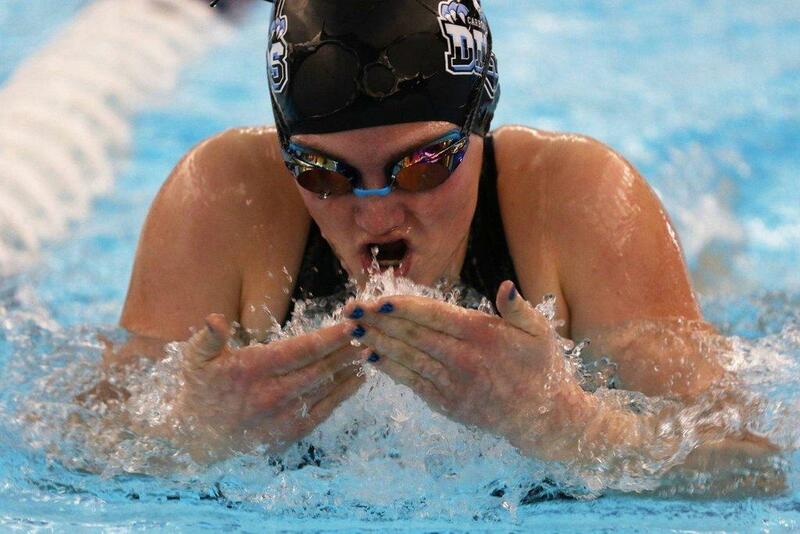 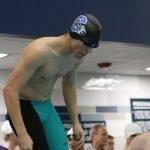 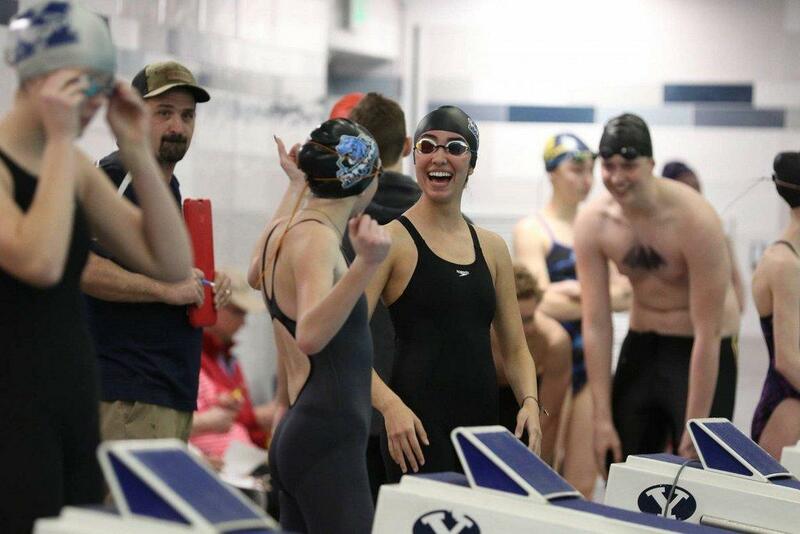 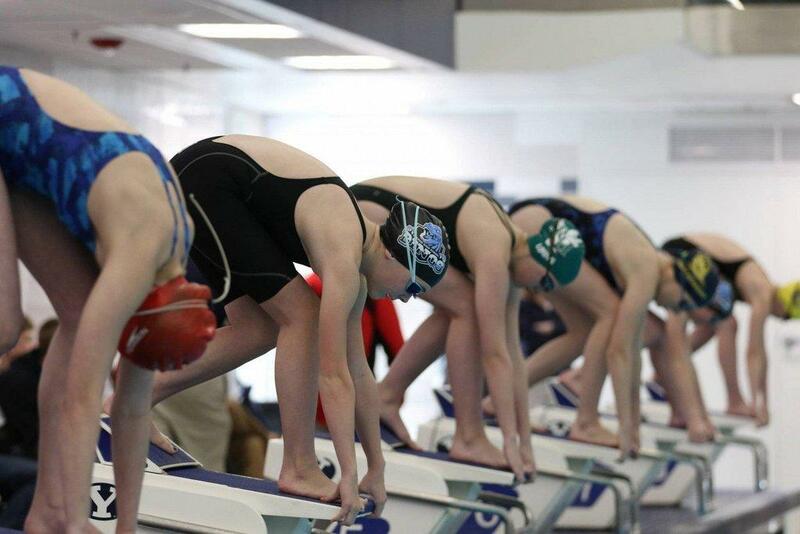 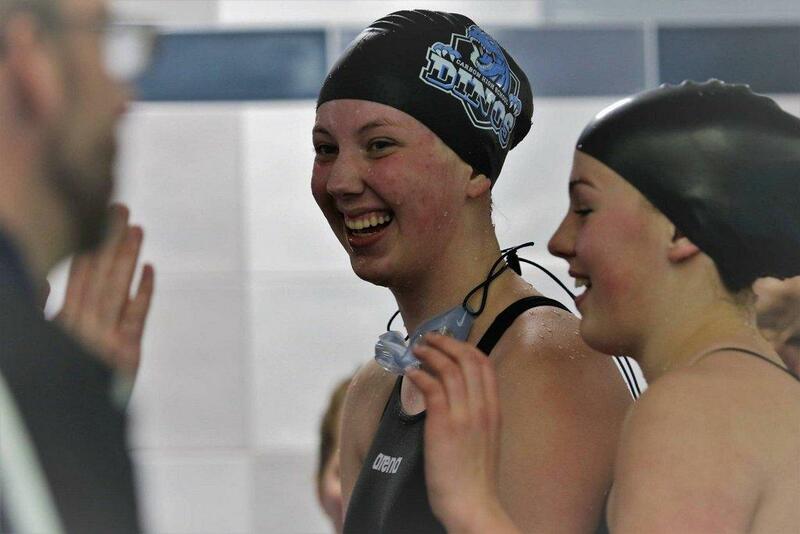 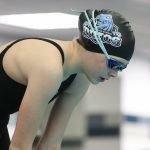 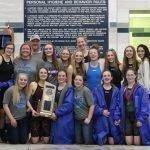 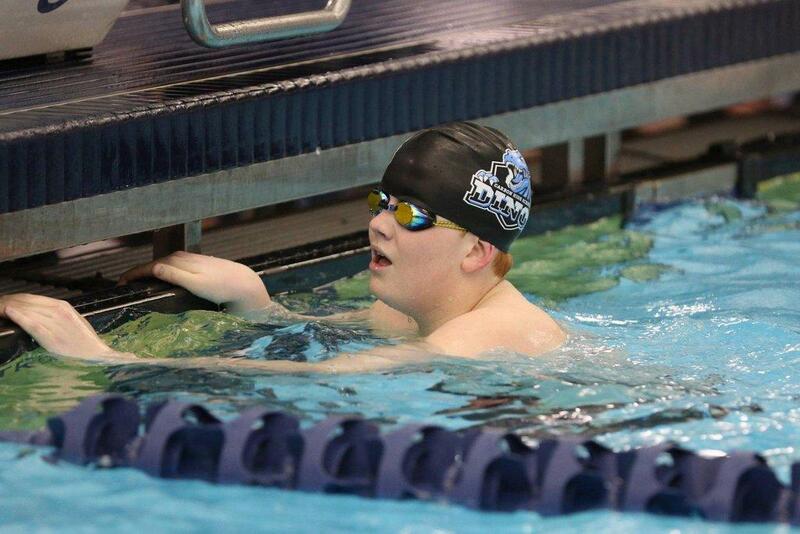 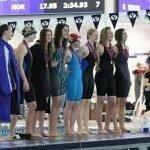 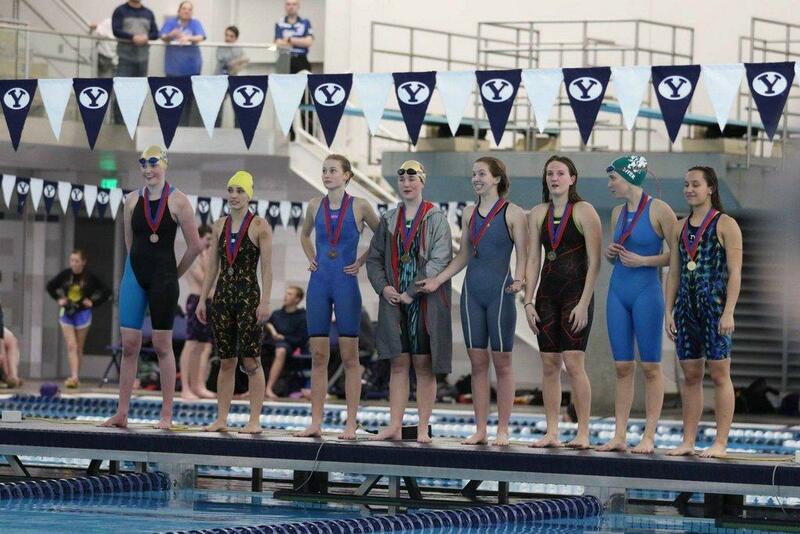 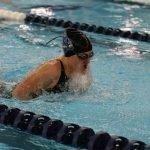 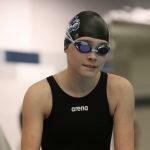 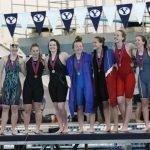 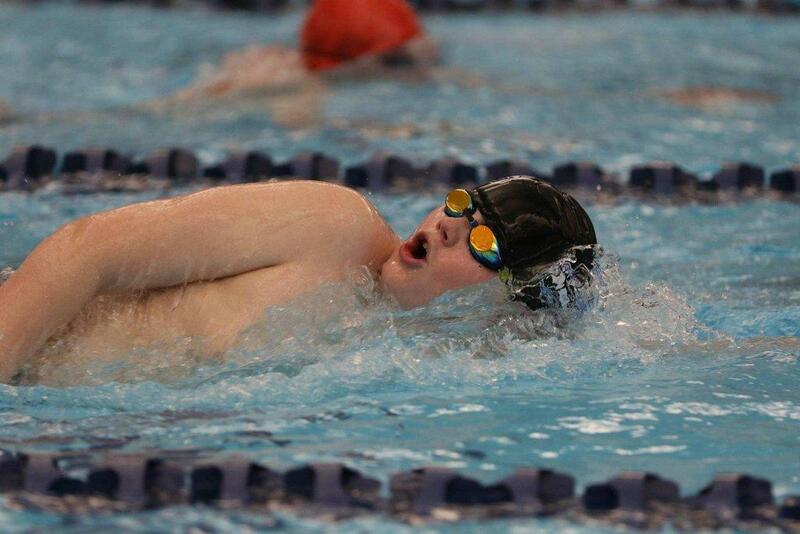 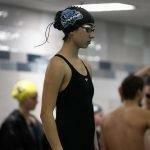 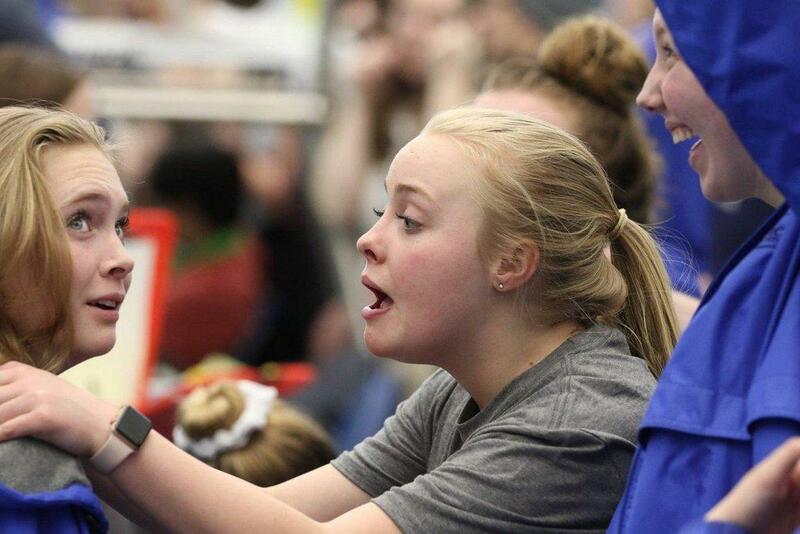 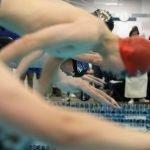 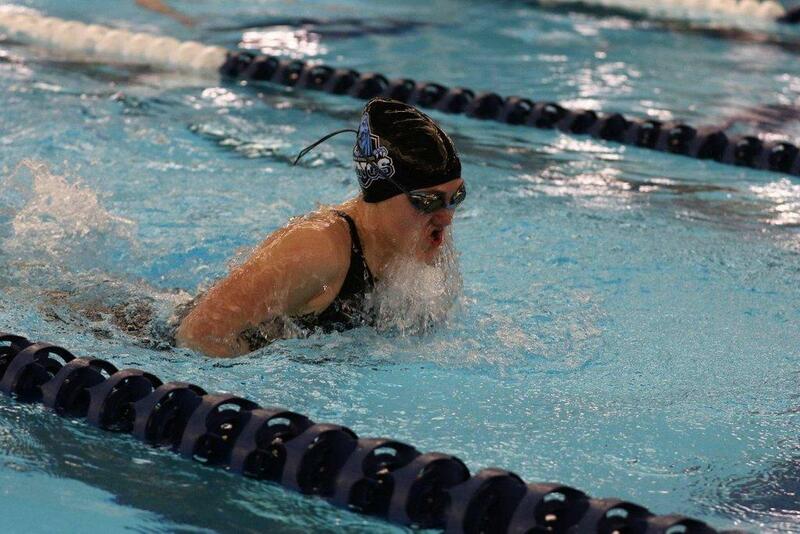 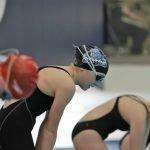 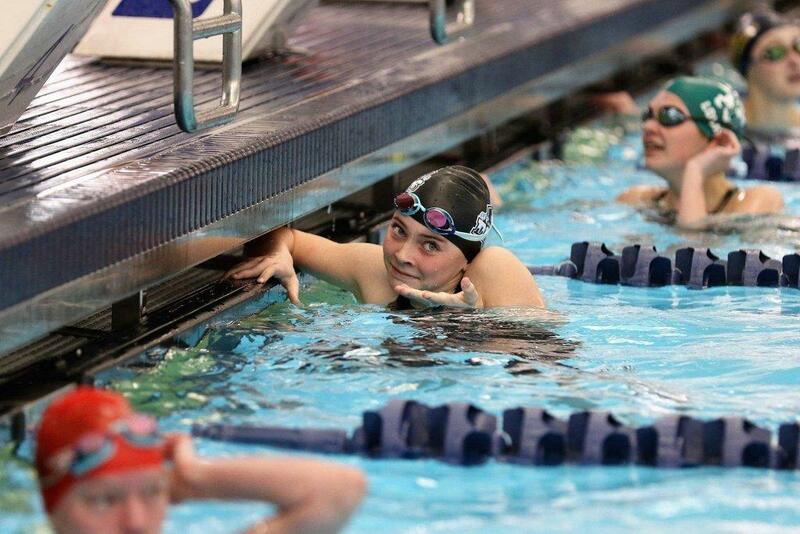 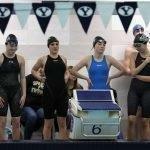 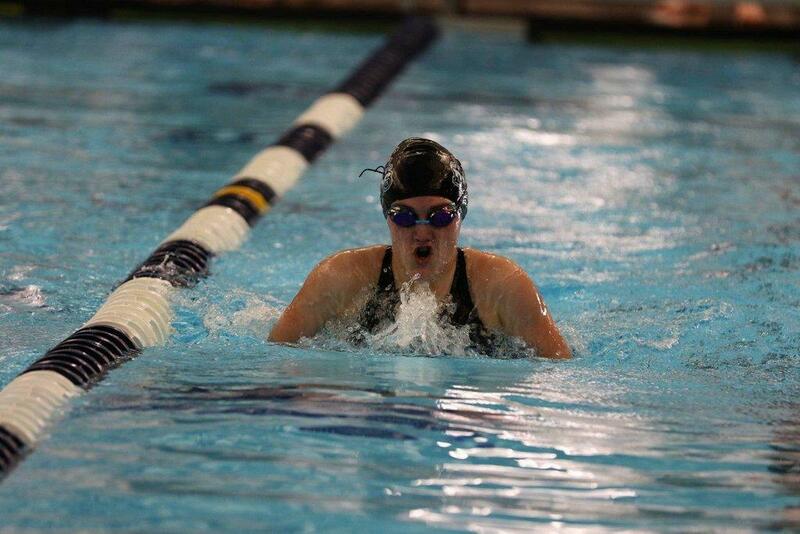 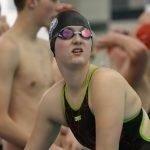 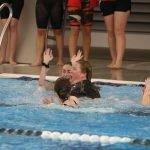 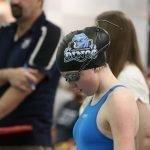 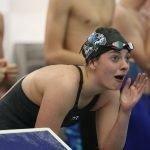 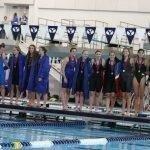 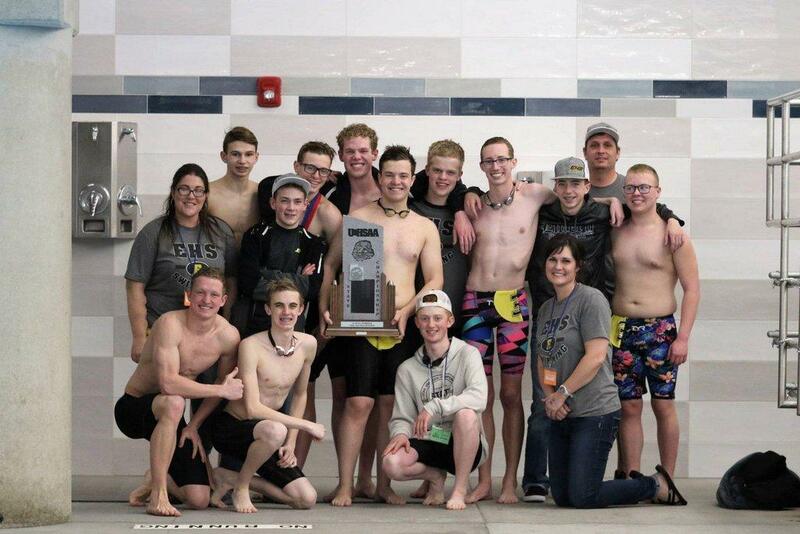 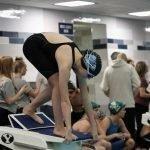 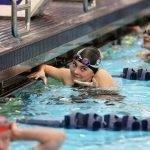 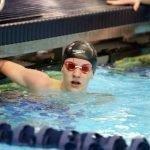 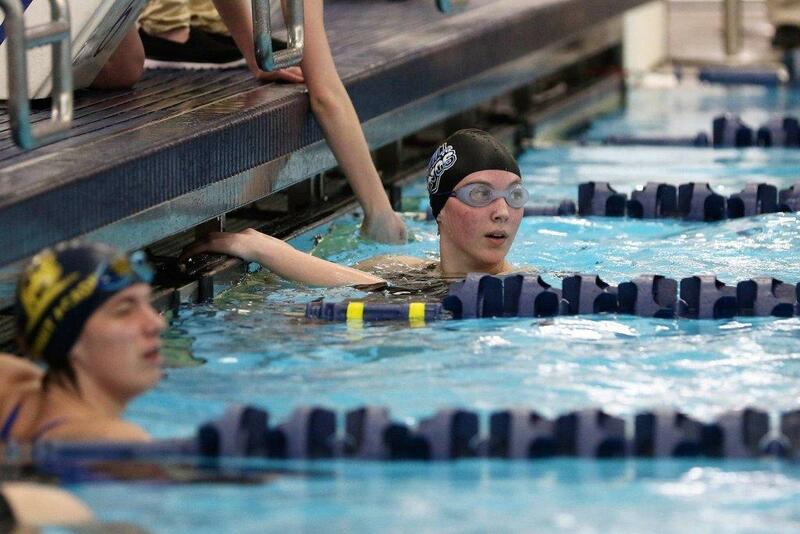 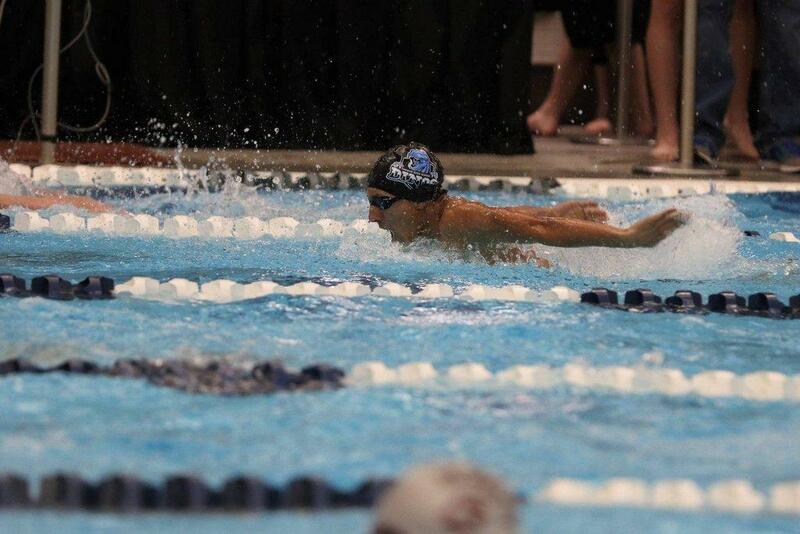 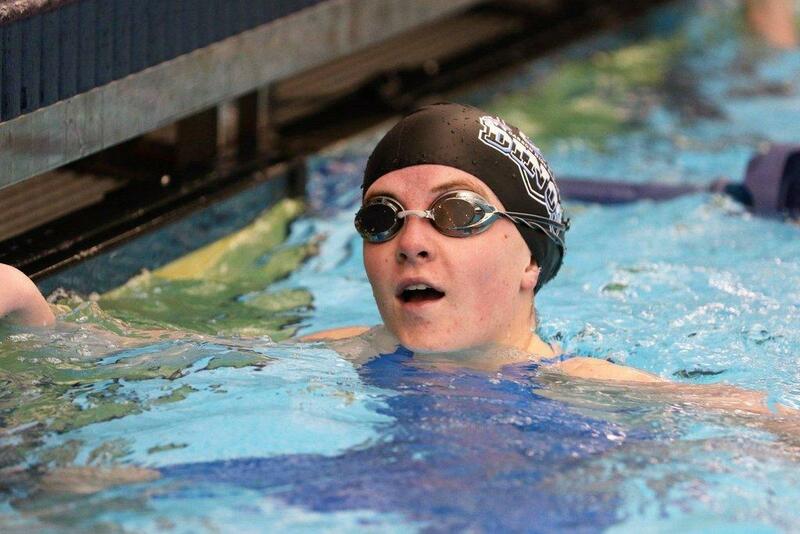 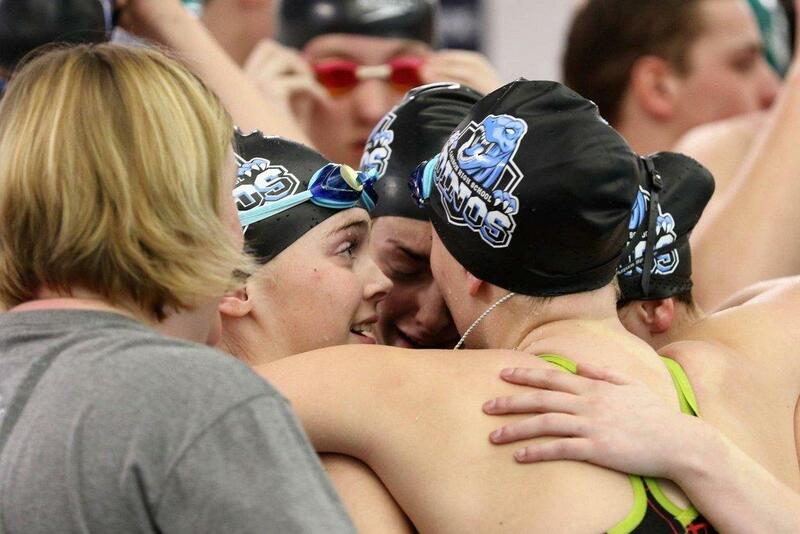 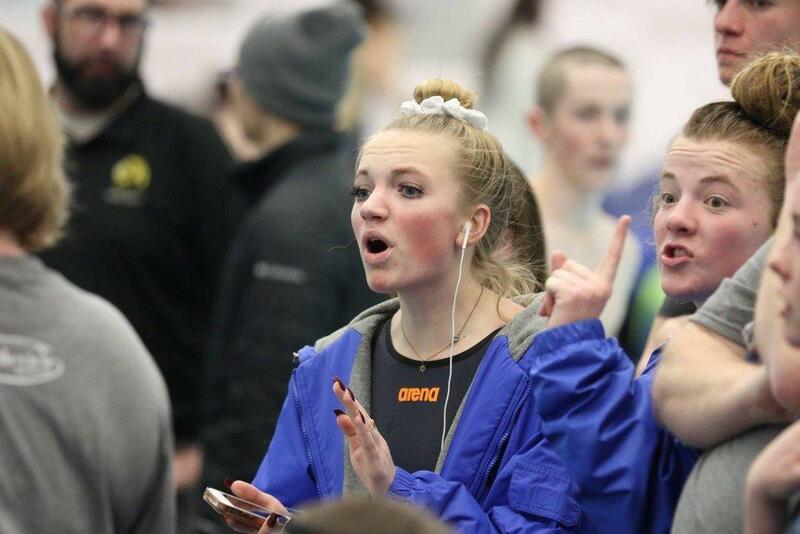 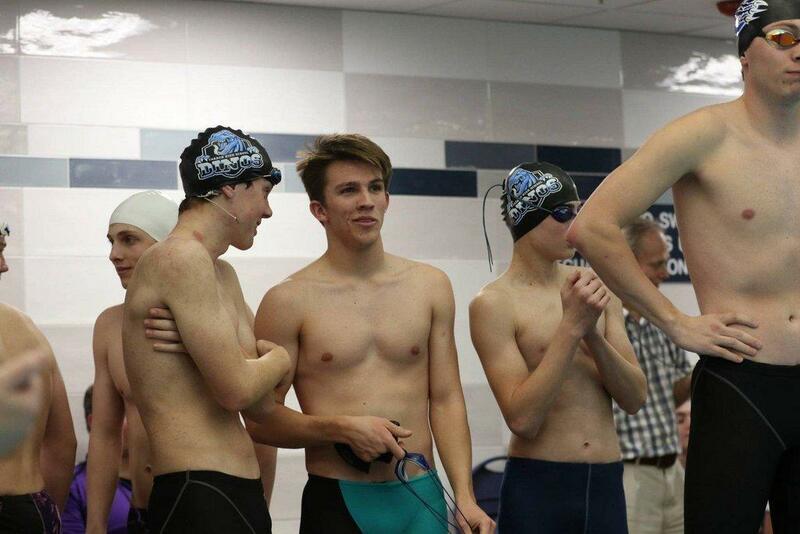 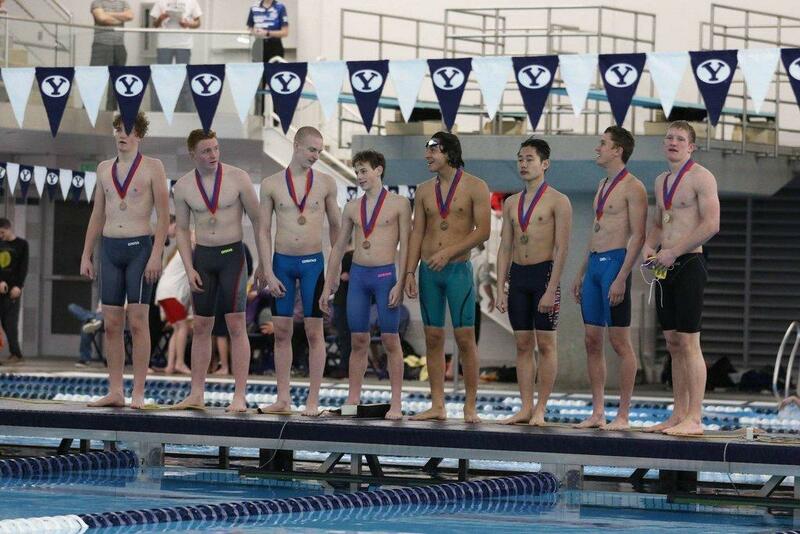 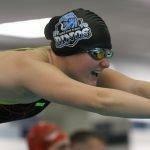 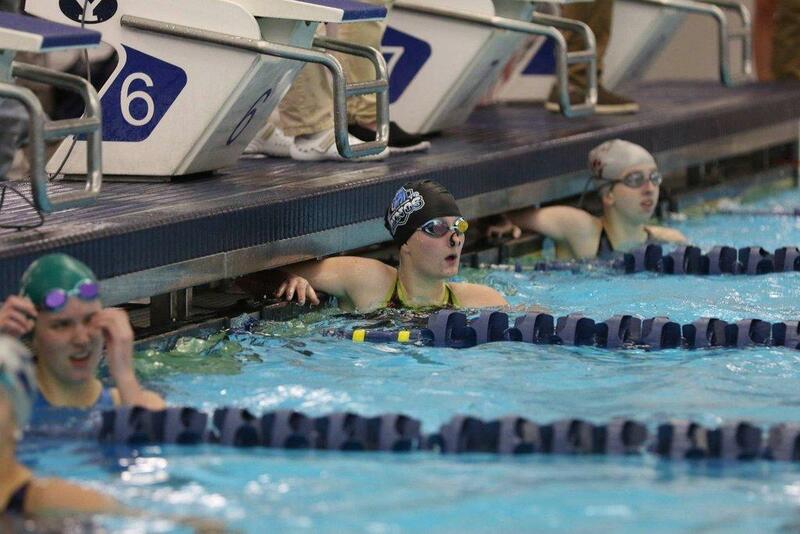 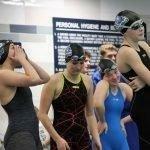 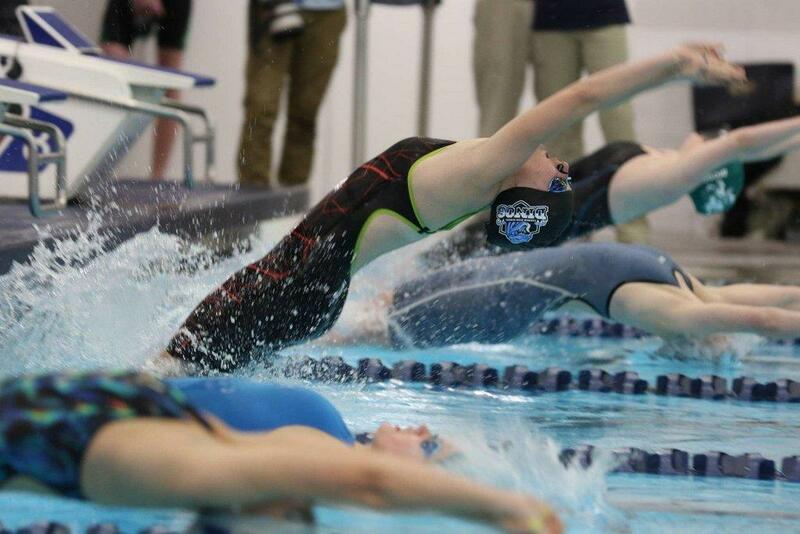 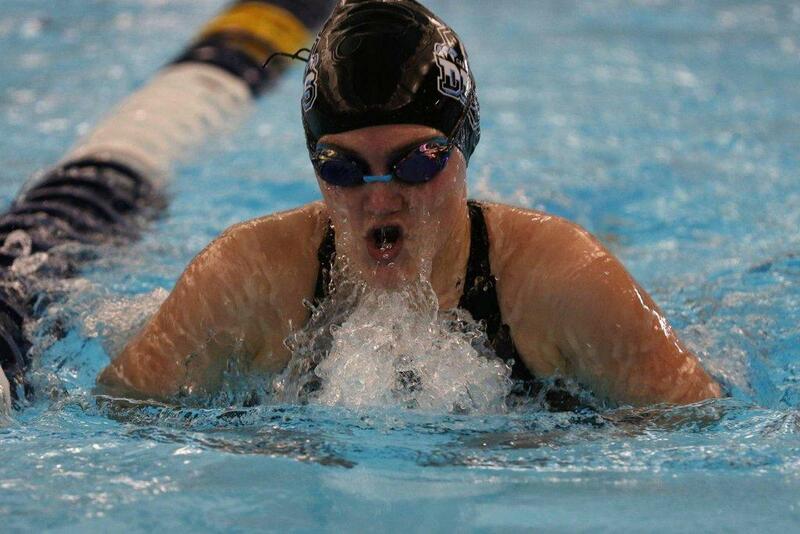 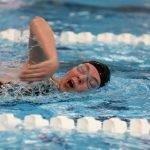 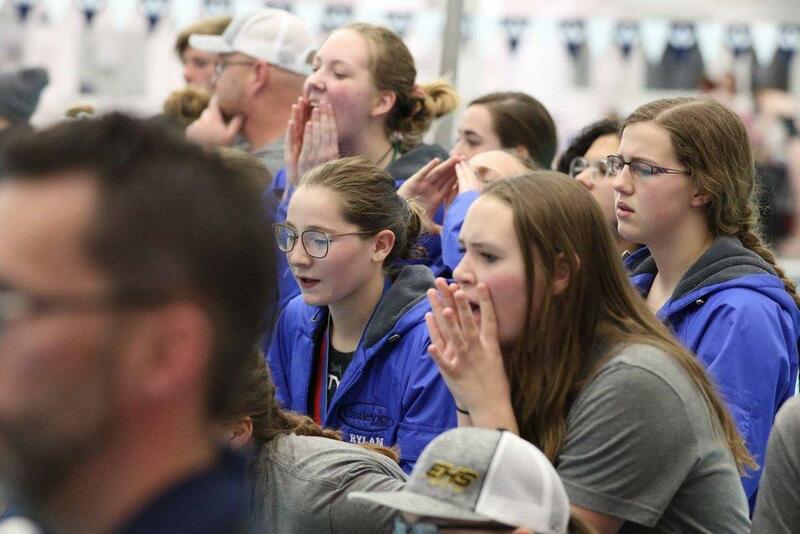 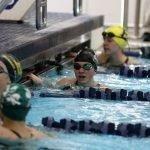 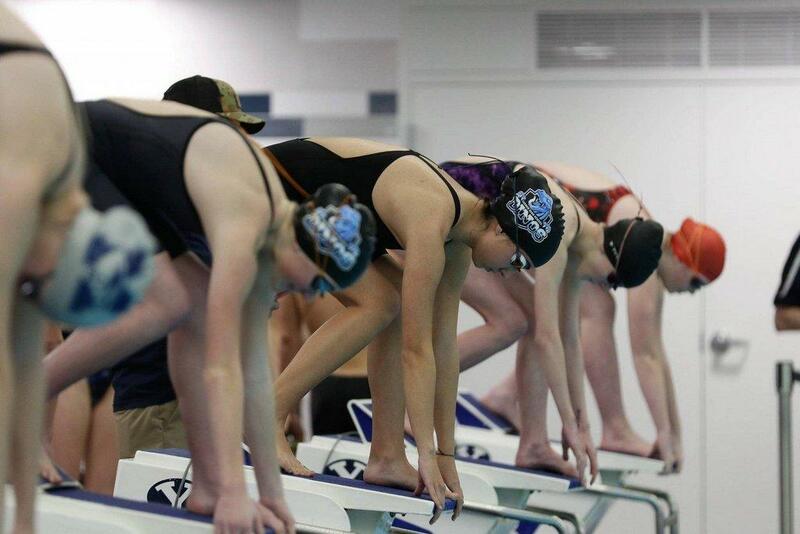 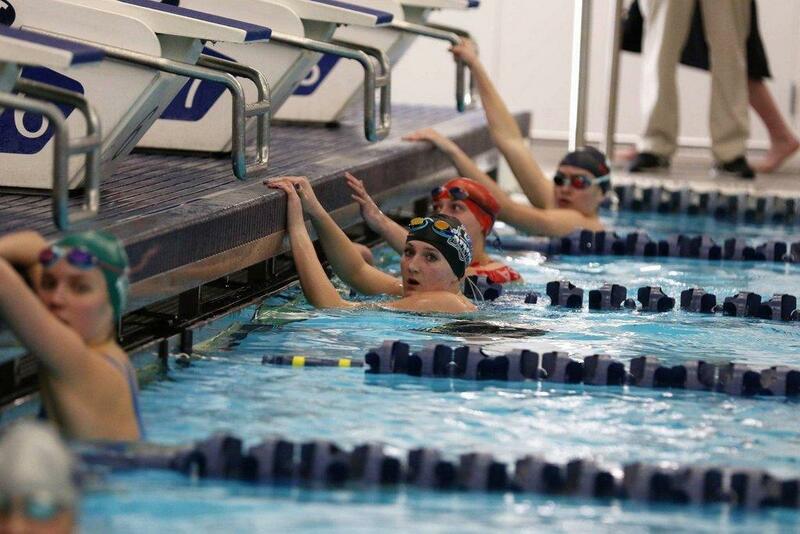 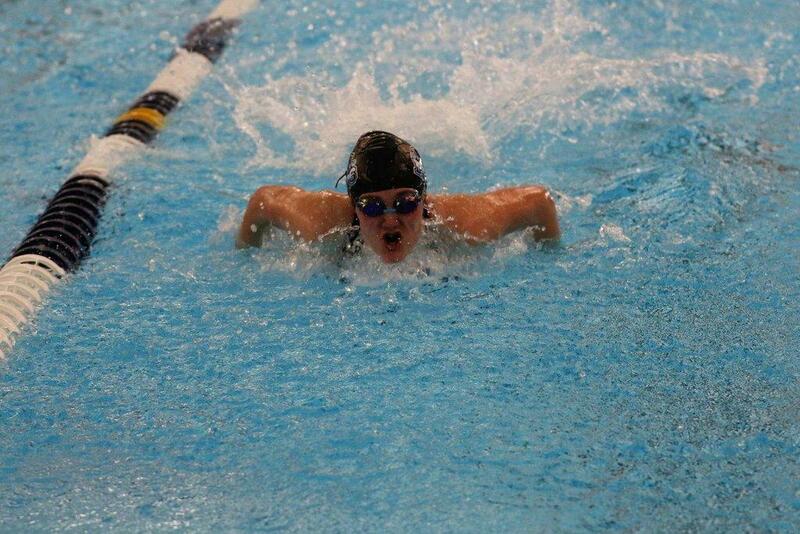 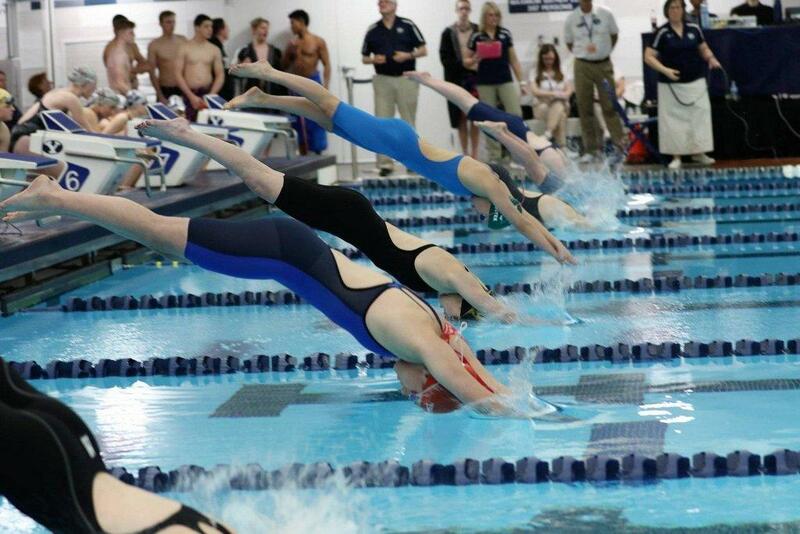 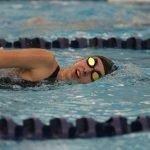 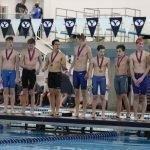 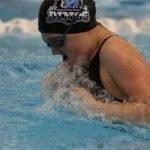 On Thursday, Carbon took part in the 3A State Swim Meet at Brigham Young University. 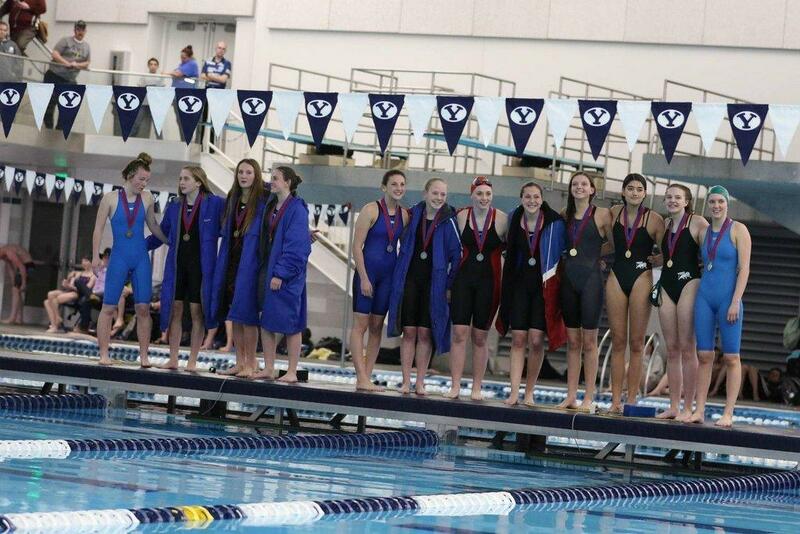 Carbon placed third in the girls’ 200 medley relay. 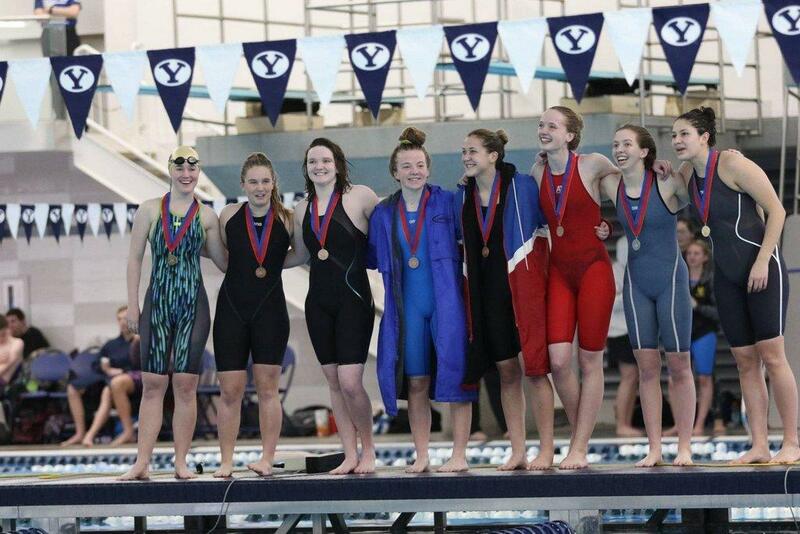 The Lady Dinos exacted revenge over Emery in the next relay, beating out the Lady Spartans for a third place finish in the 200 free. 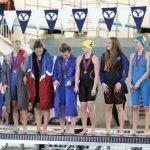 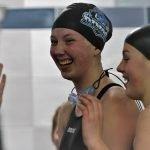 Carbon also placed fourth in the 400 free relay. 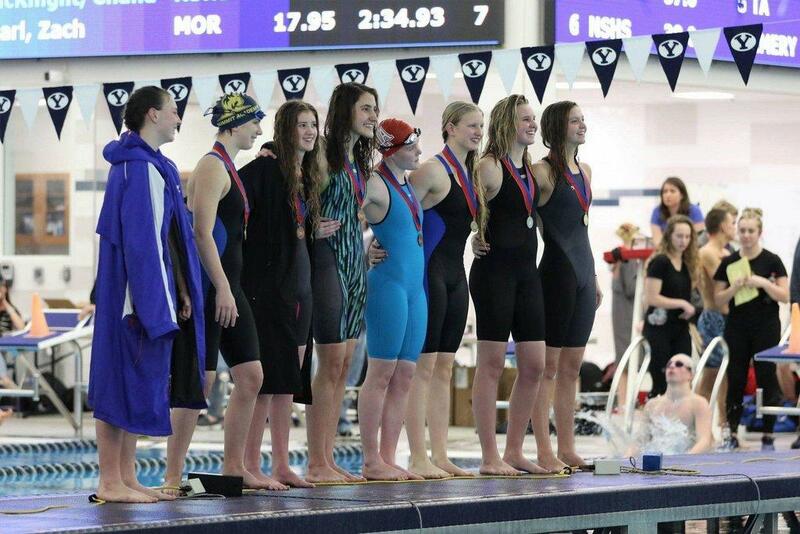 Megan Swasey barely edged out Emery’s Kaelee Hooley to reach the podium for third place in the 50 free. 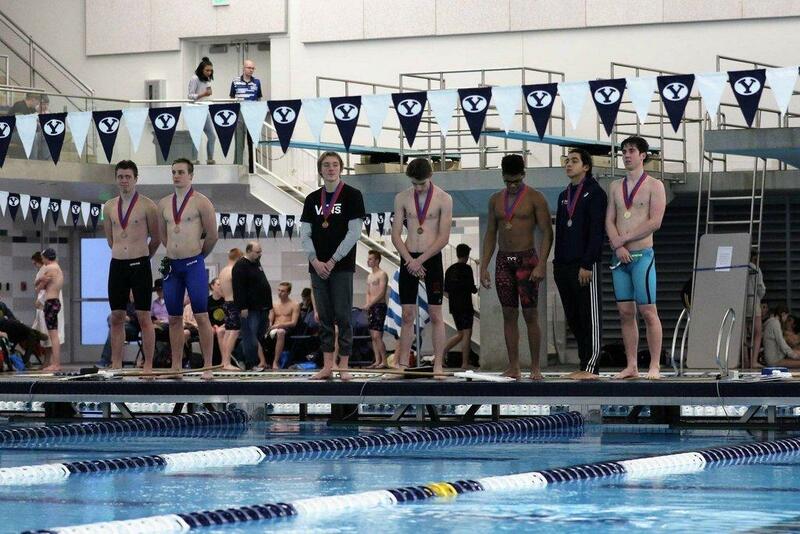 Swasey then took third again in the 100 back. 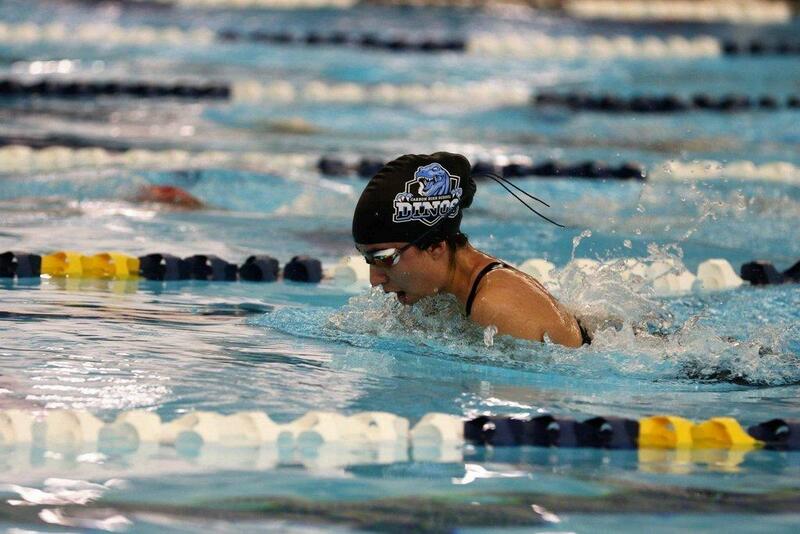 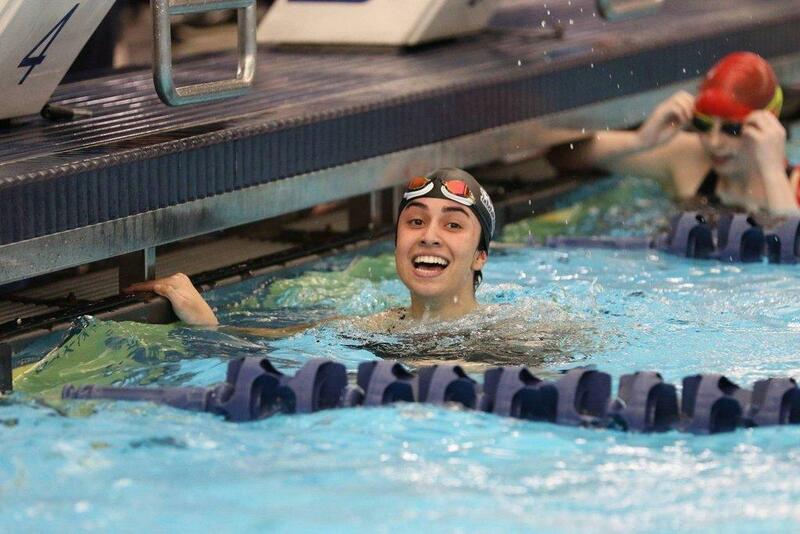 Freshman Tyrca Jaramillo finished in third place in the 100 breast with Nicole Sasey in sixth. 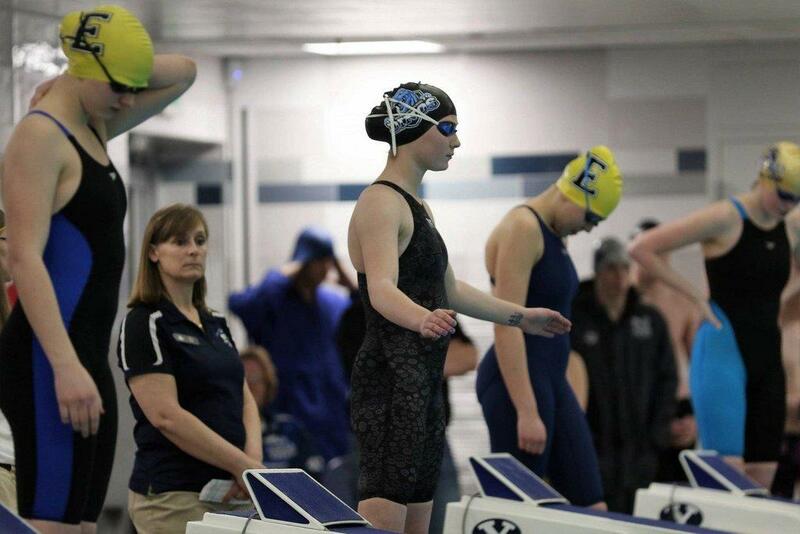 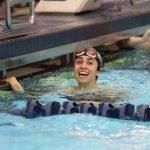 Kacee Barrett had sixth place finishes in both the 100 and 200 free while Sofia Crompton ended up seventh in the 100 fly. 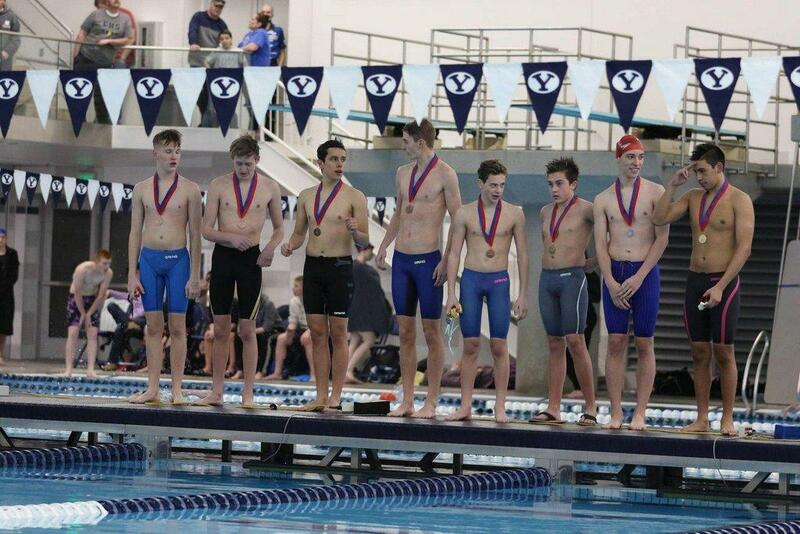 Kinnon Lyman took sixth in the 50 free. 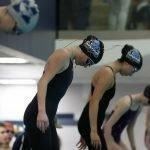 Kinnon Lyman and Camde Chamberlain finished eighth in the 100 free and 500 free, respectively. 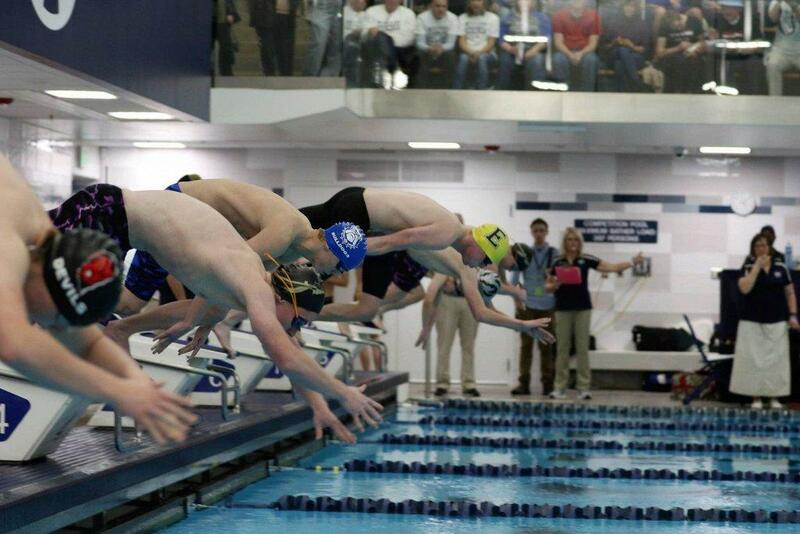 The boys’ team finished in 14th overall with Grand on top. 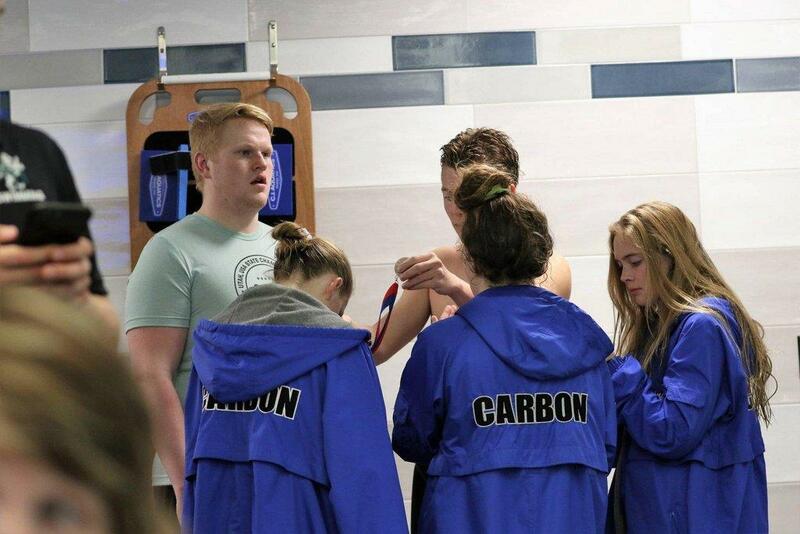 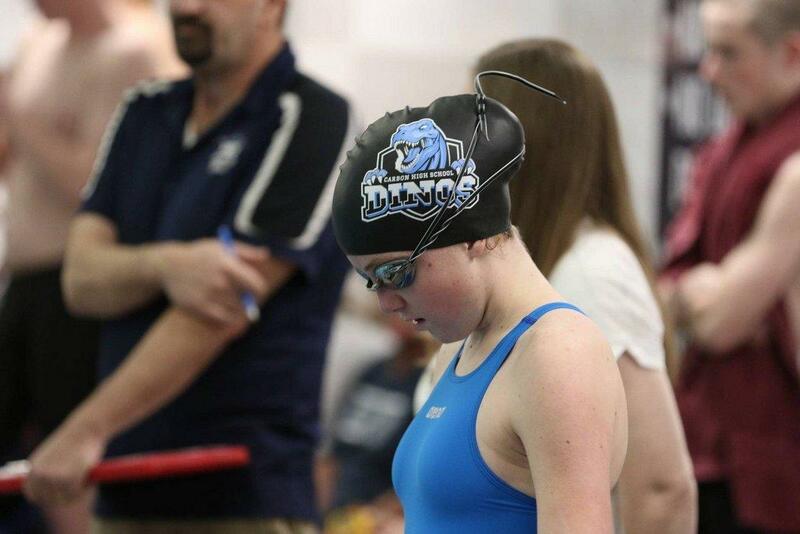 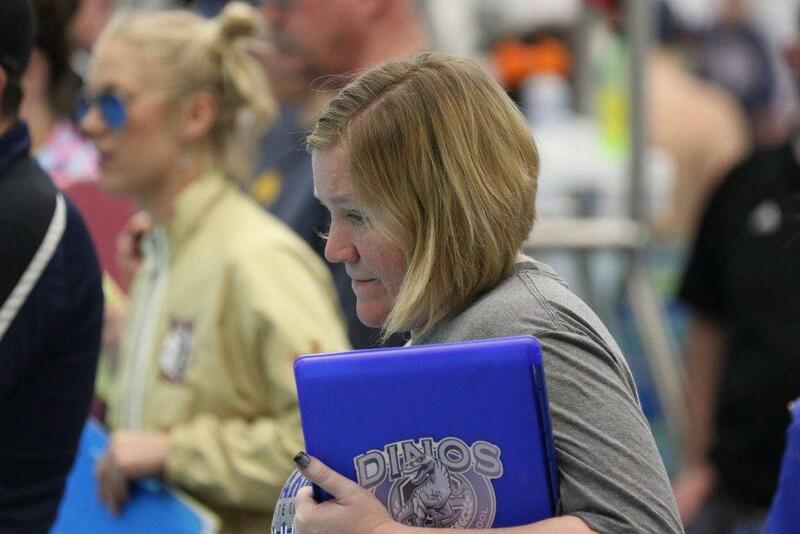 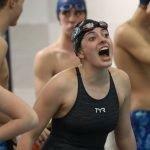 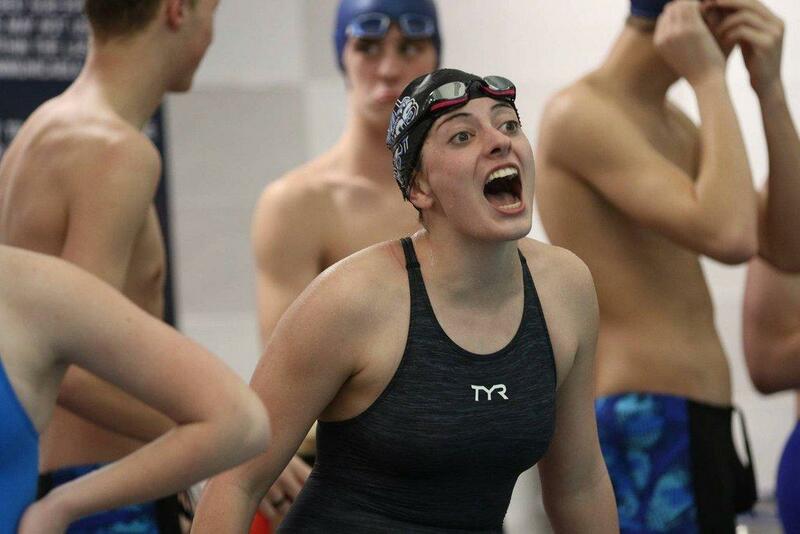 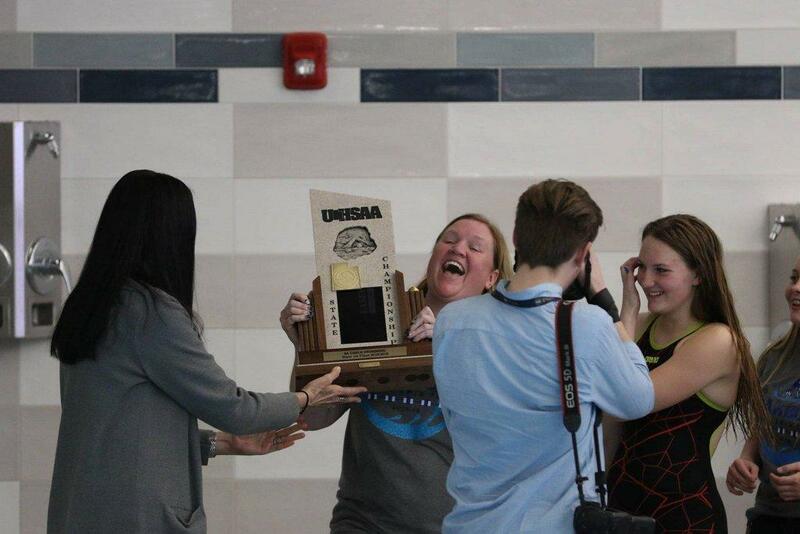 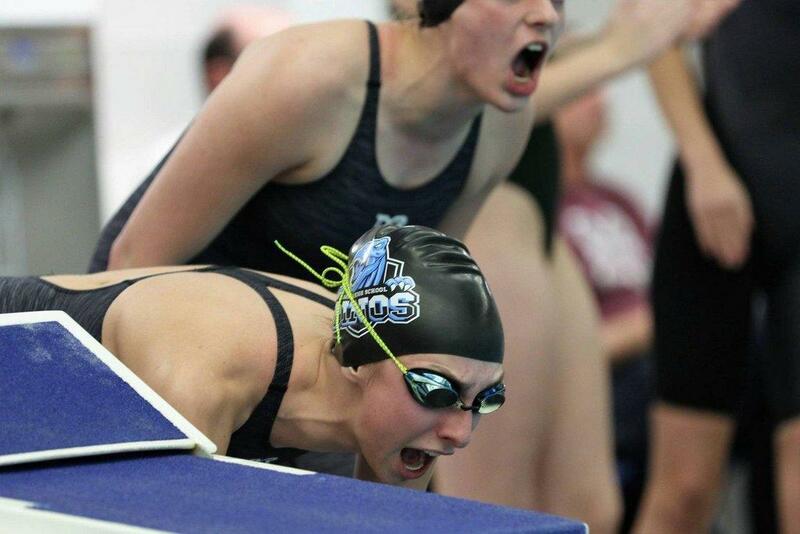 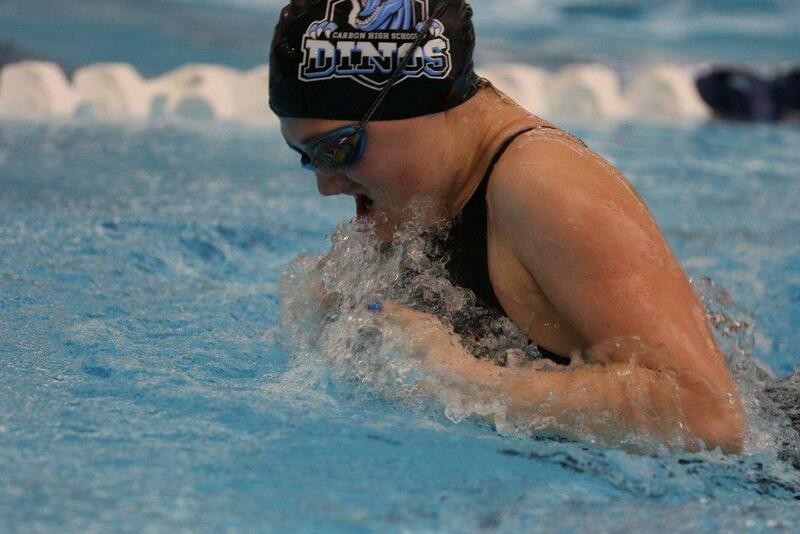 In an extremely close meet, the Carbon Lady Dinos took state, one point ahead of Rowland Hall. 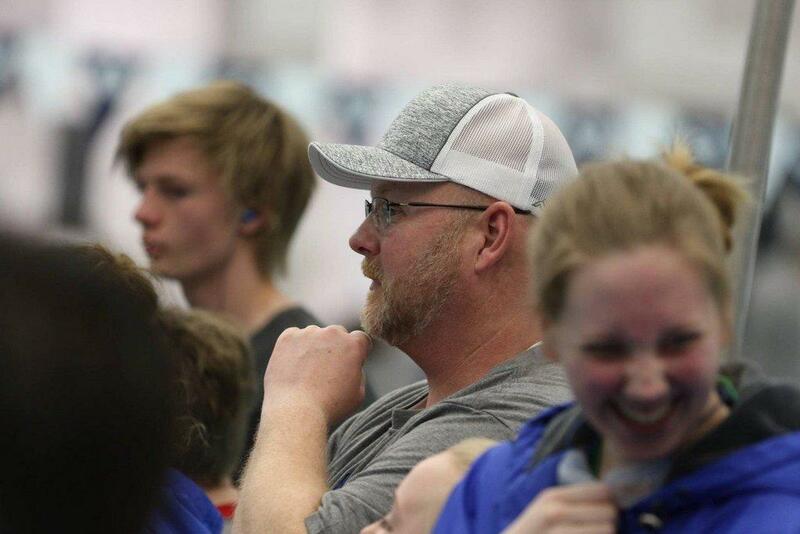 Also at the competition, Chamberlain was named 3A Coach of the year alongside Grand’s Braxten Pierce. 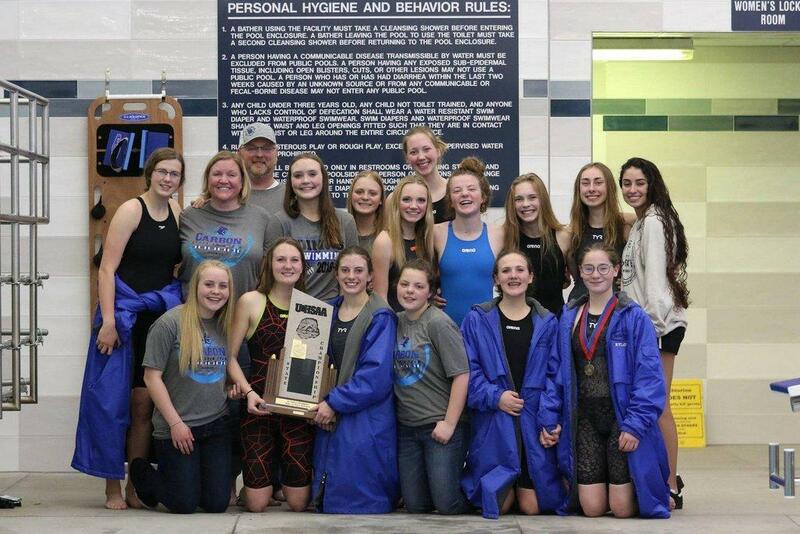 Congratulations to the Lady Dinos, the 3A State Champions!